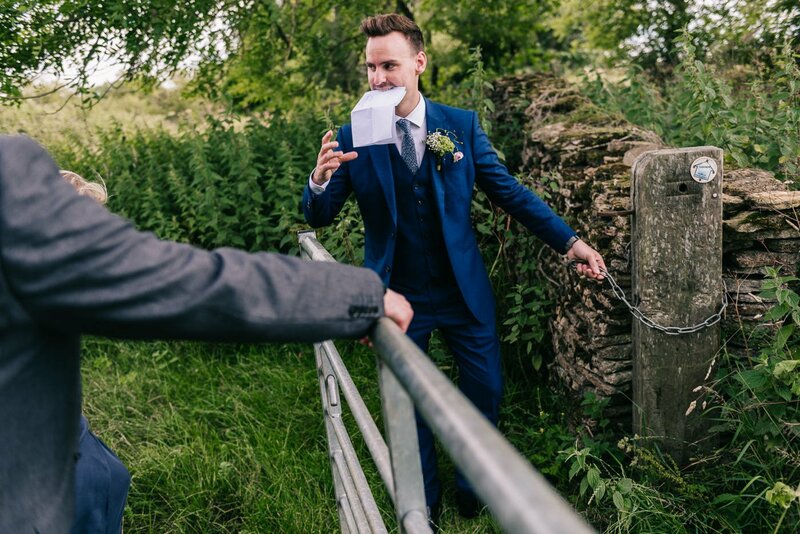 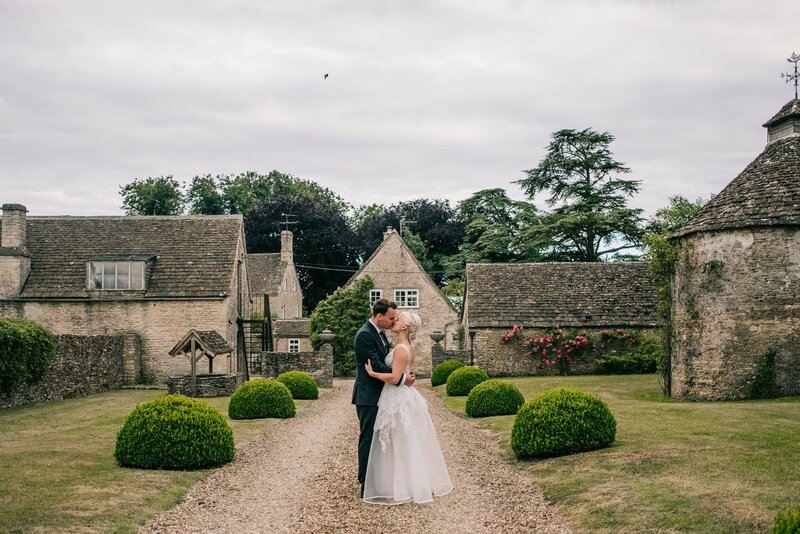 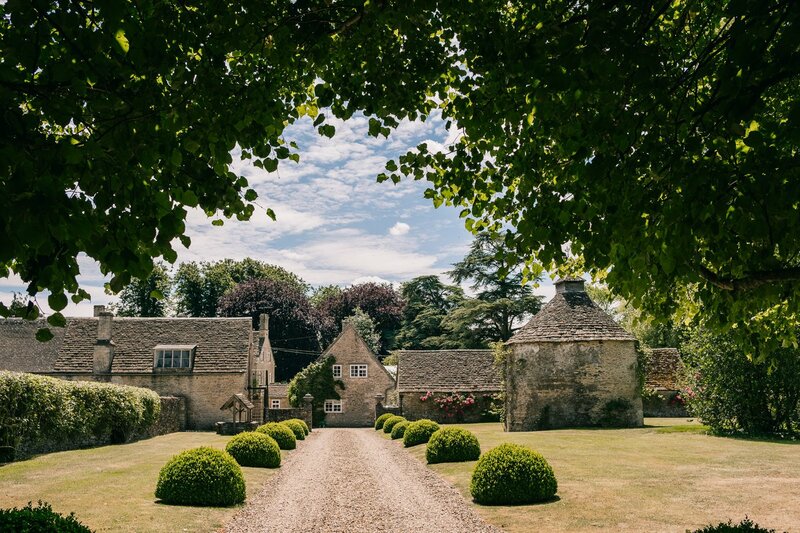 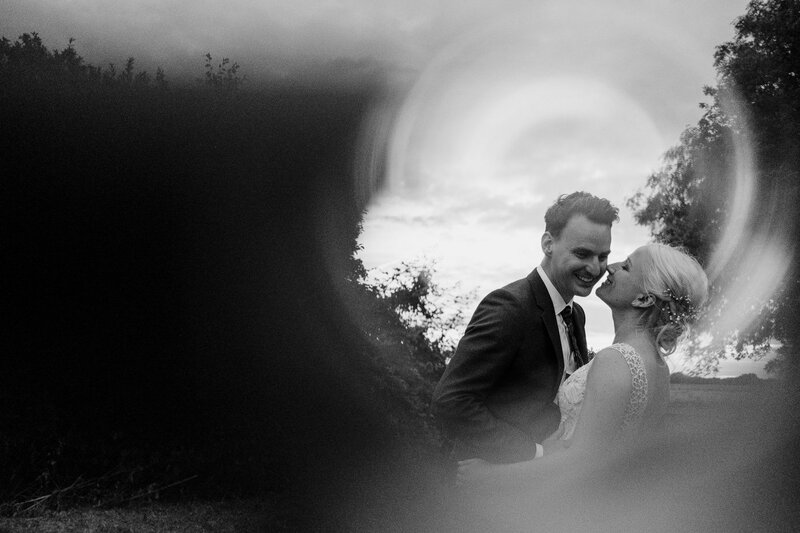 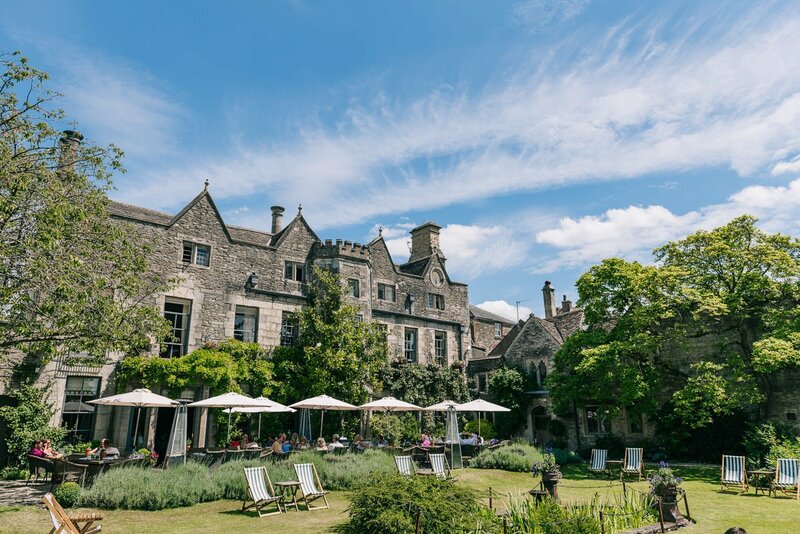 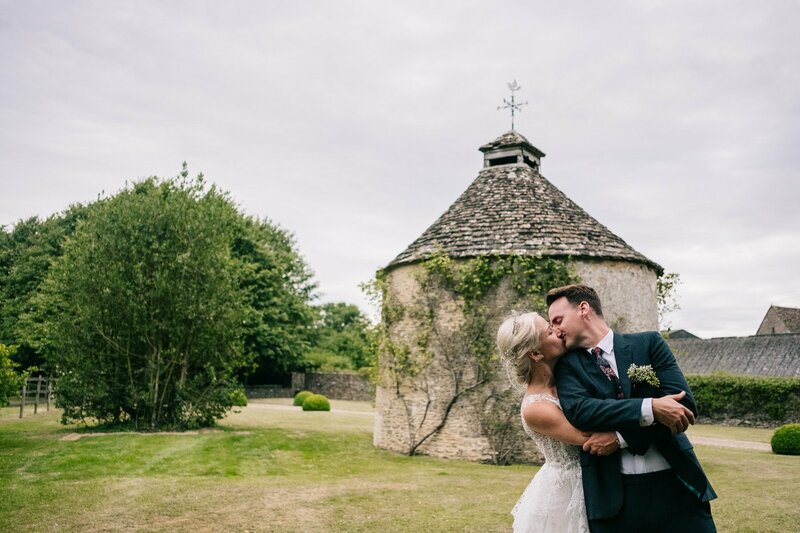 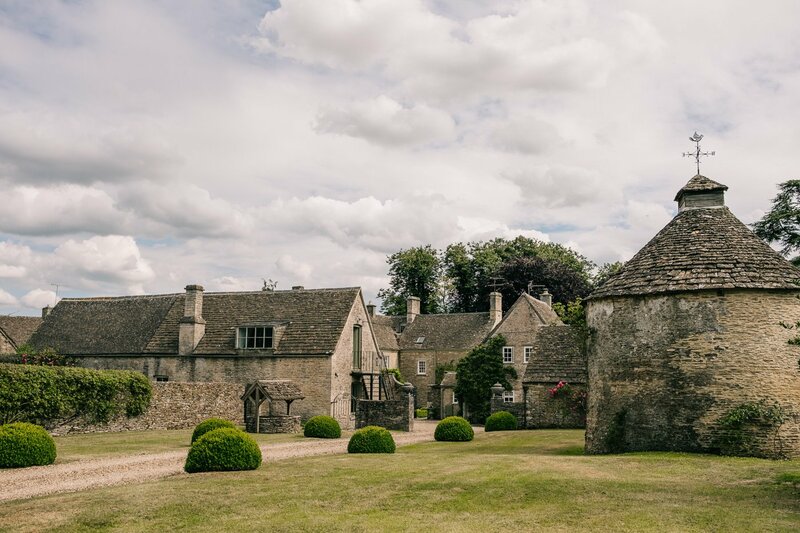 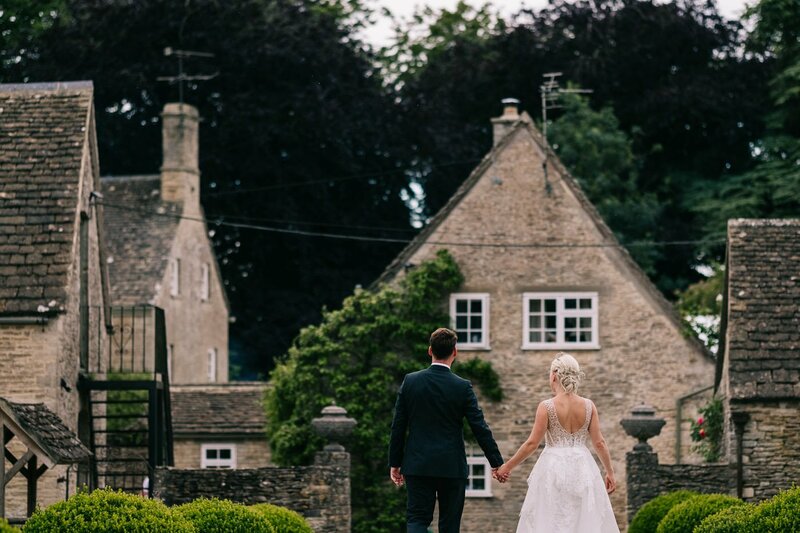 It’s snowing outside as I write this so David and Amelia’s humanist outdoor wedding in the heart of the Cotswolds seems like a perfect, distant slice of summer. 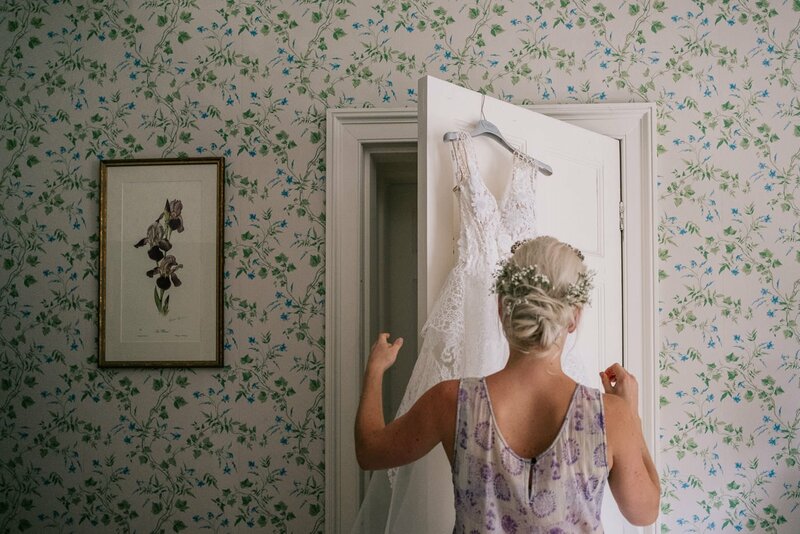 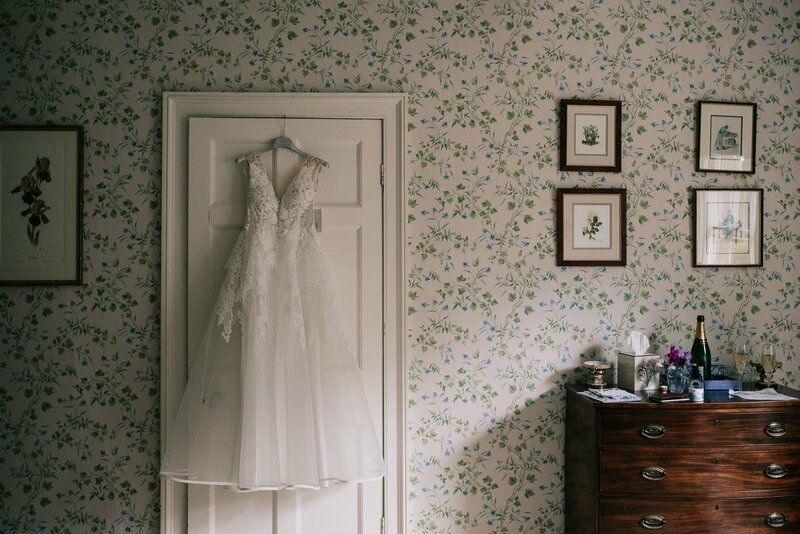 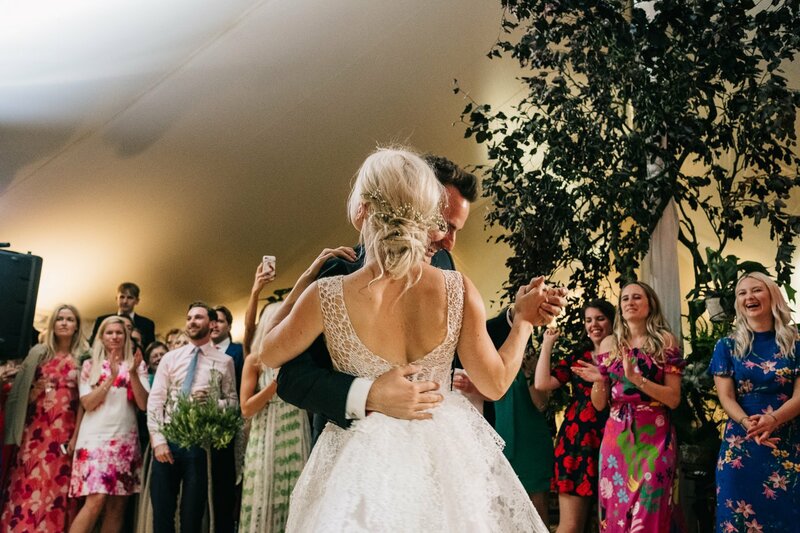 This wedding had so much loveliness that it’s hard to know where to start. 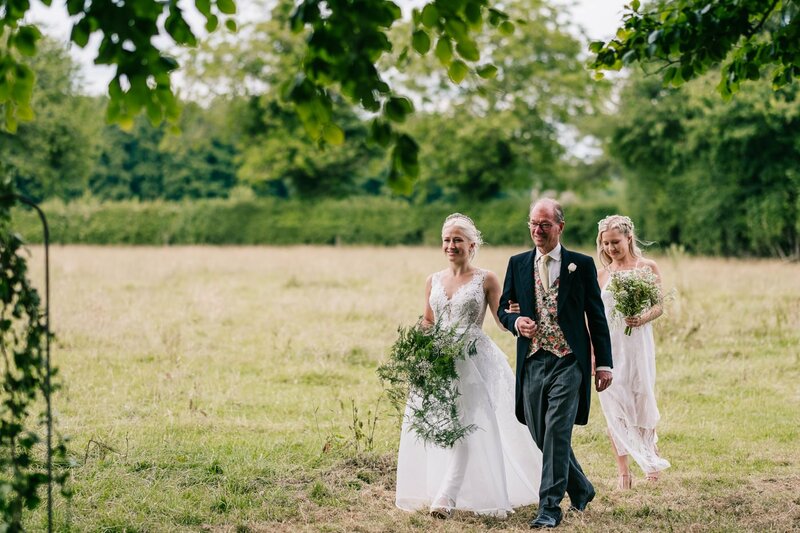 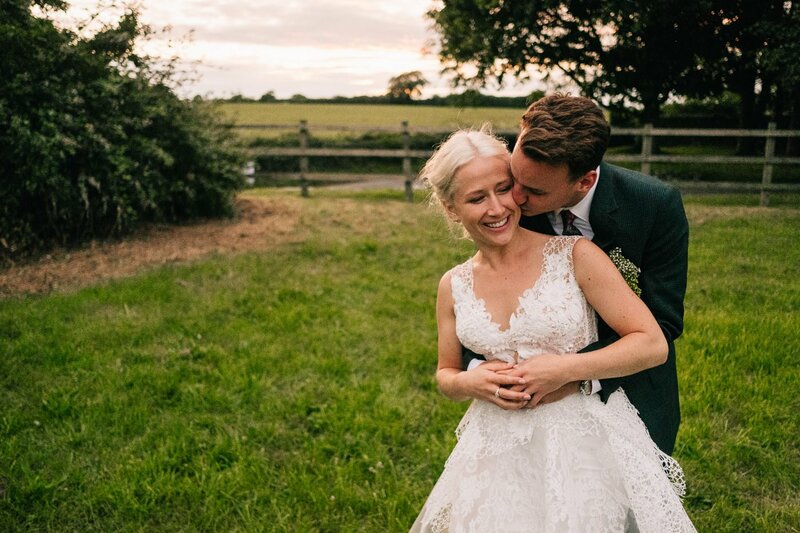 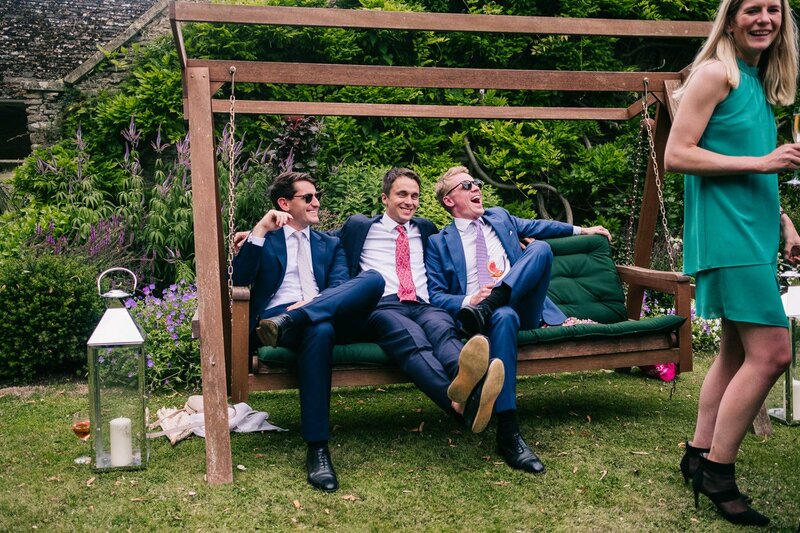 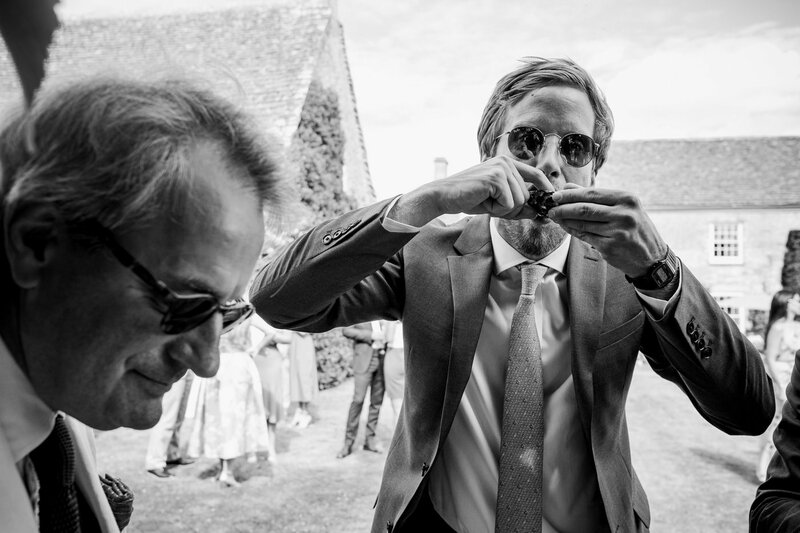 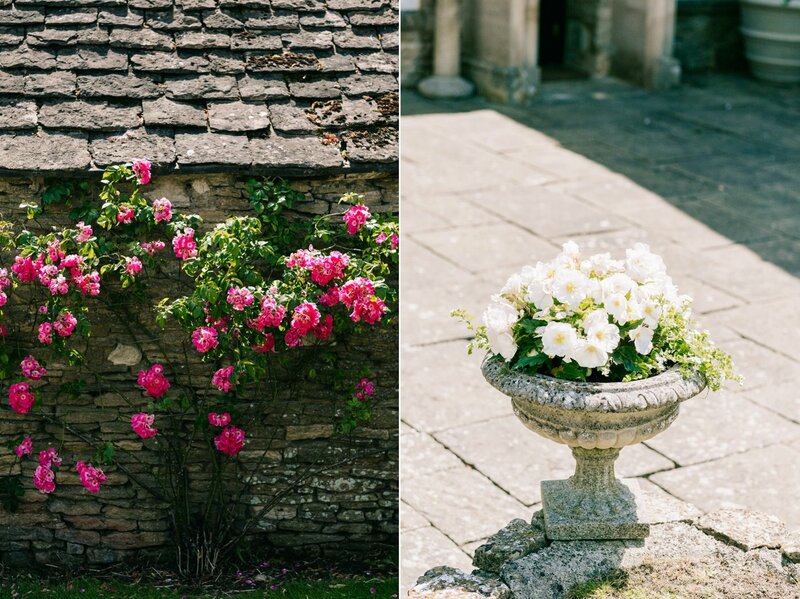 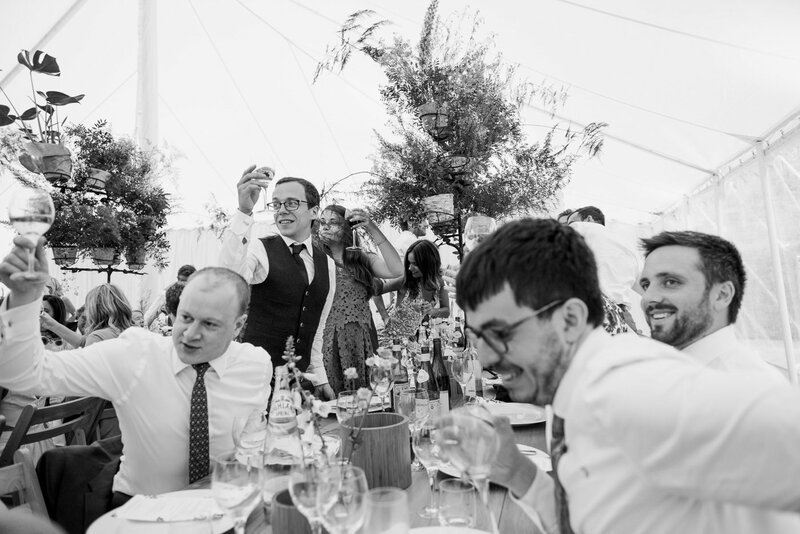 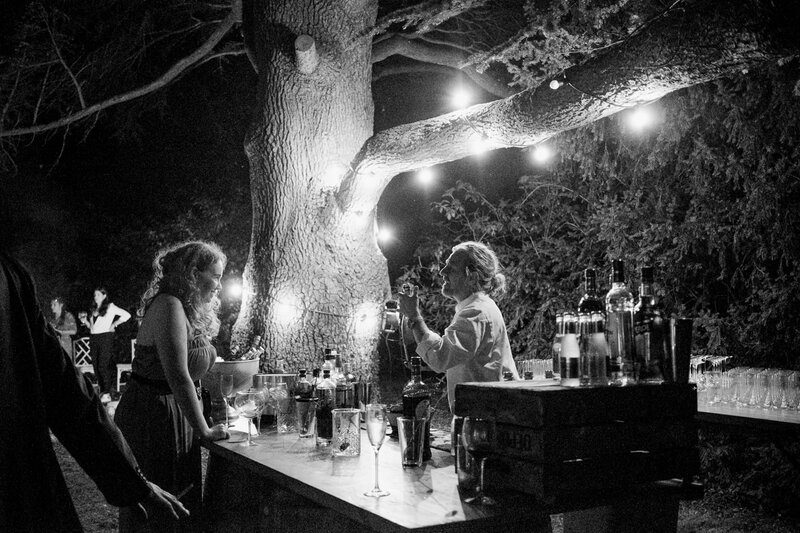 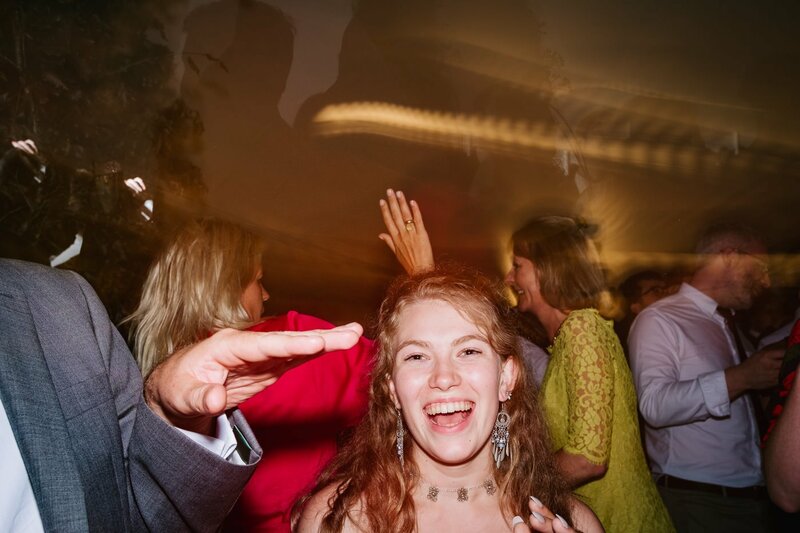 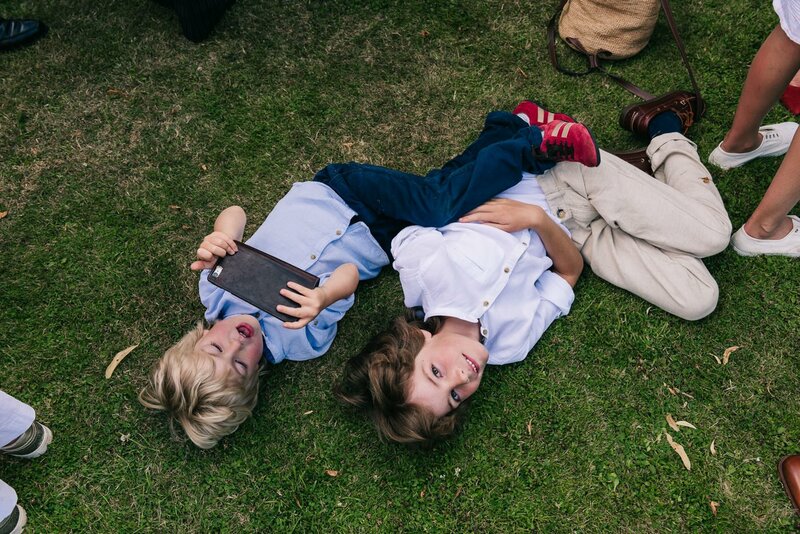 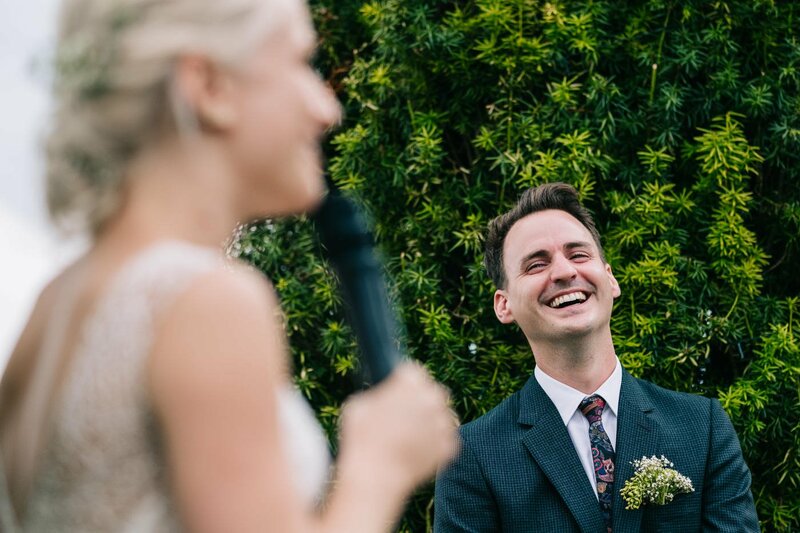 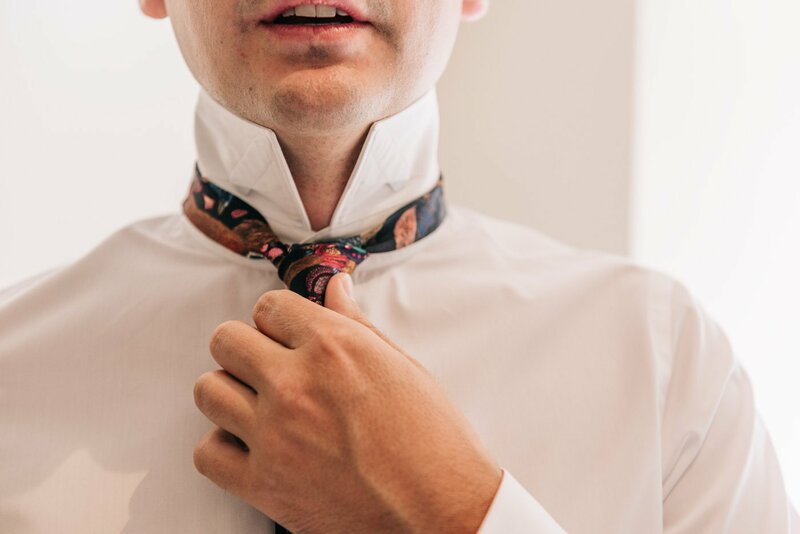 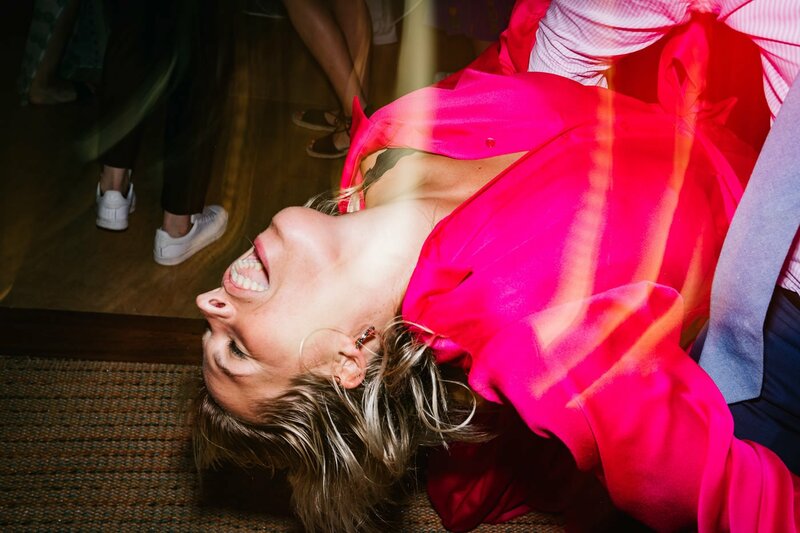 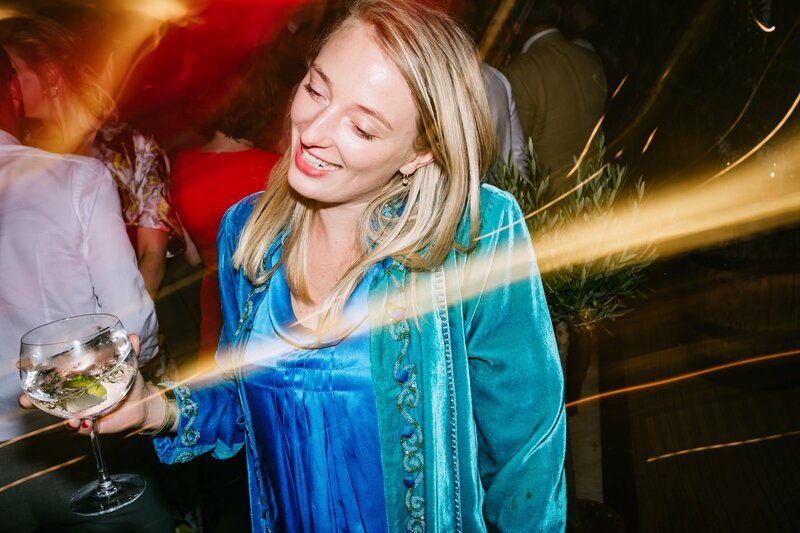 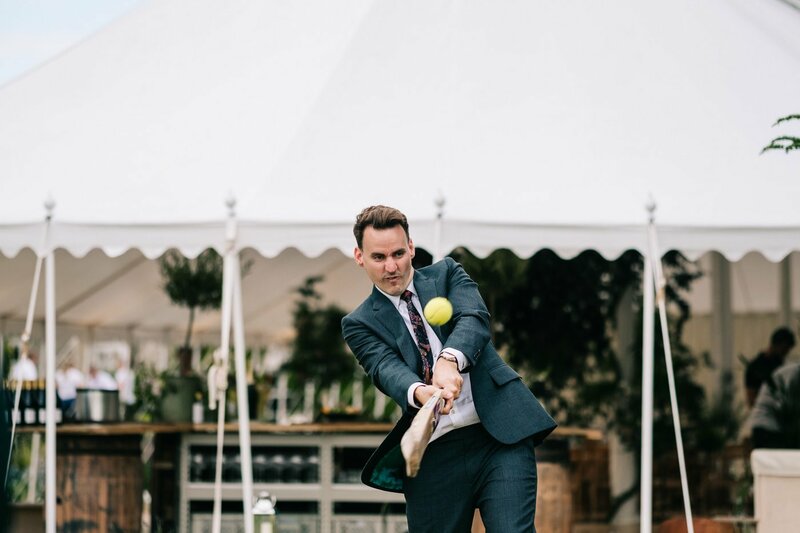 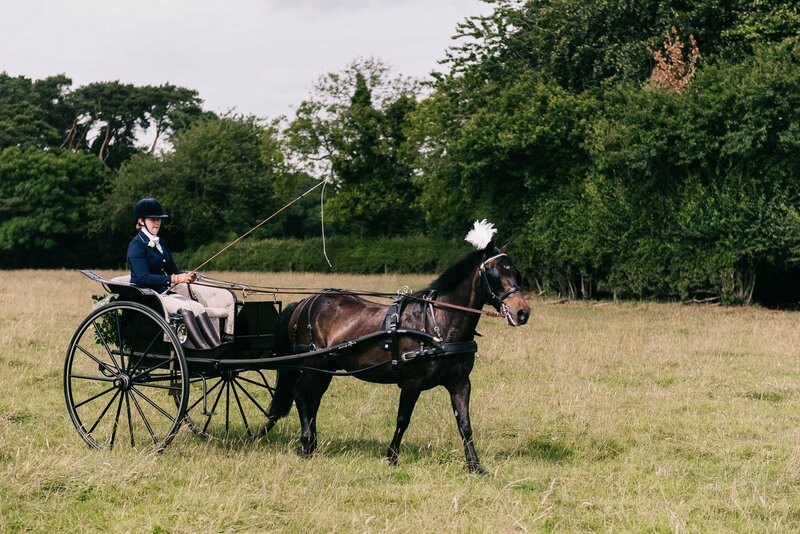 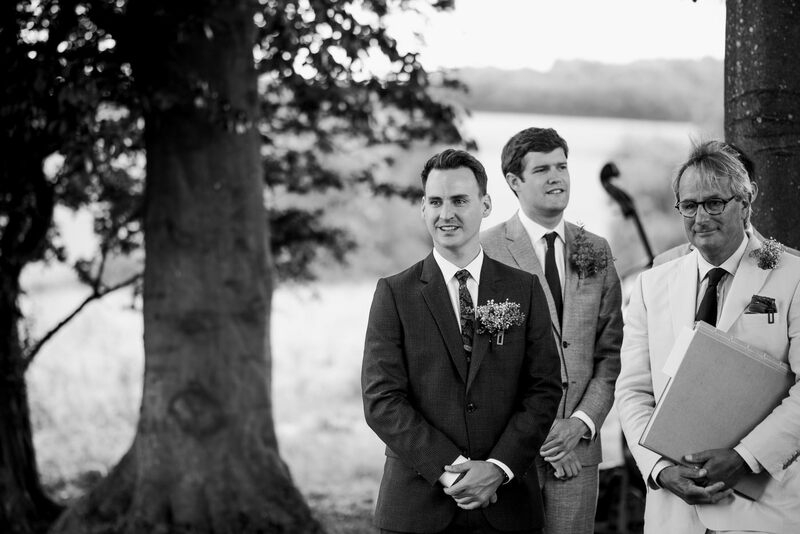 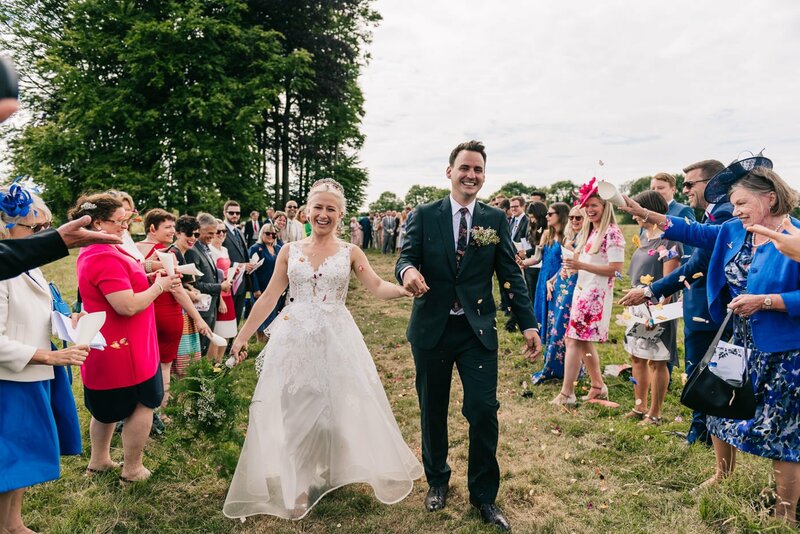 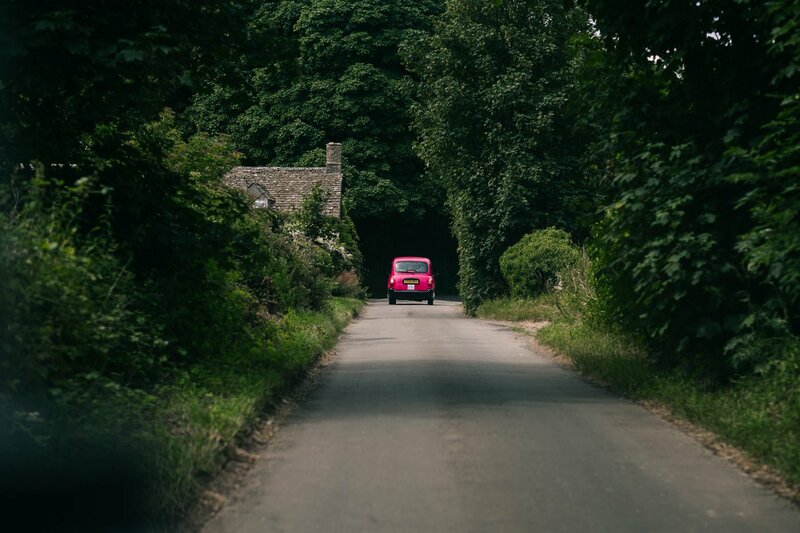 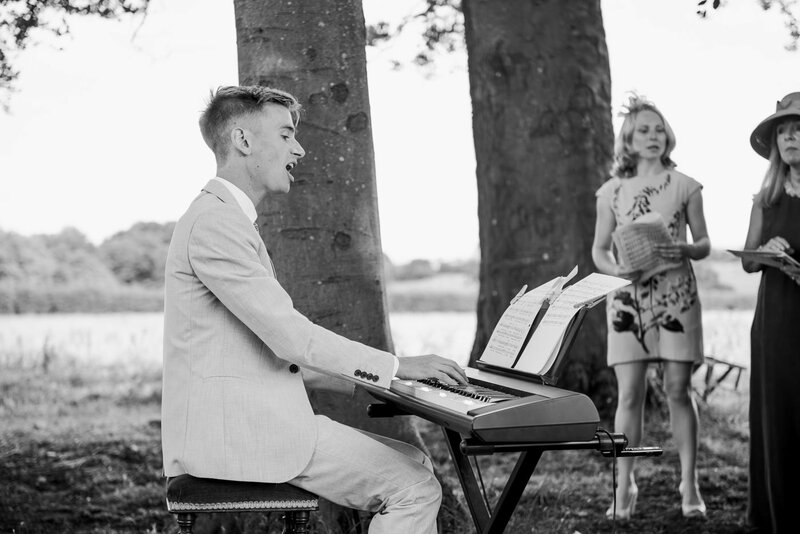 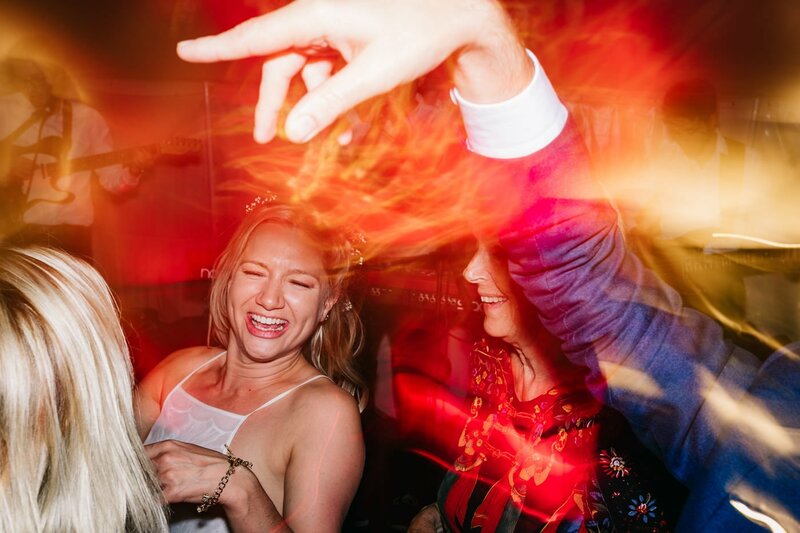 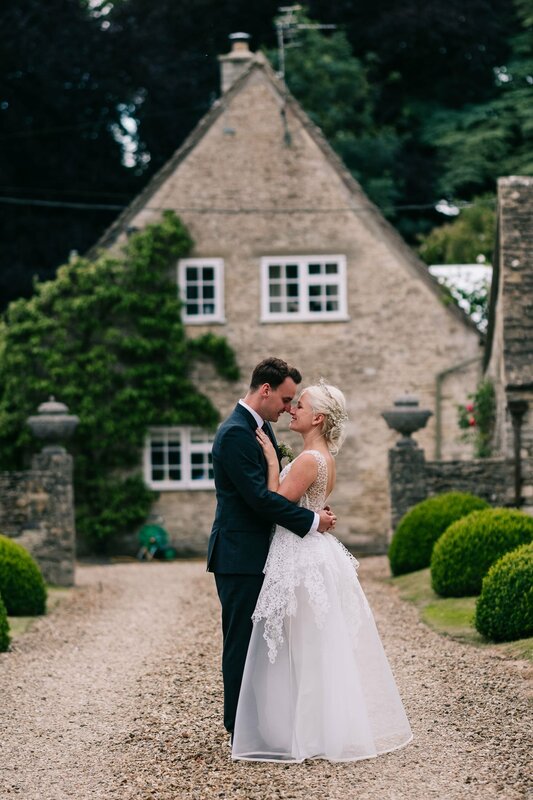 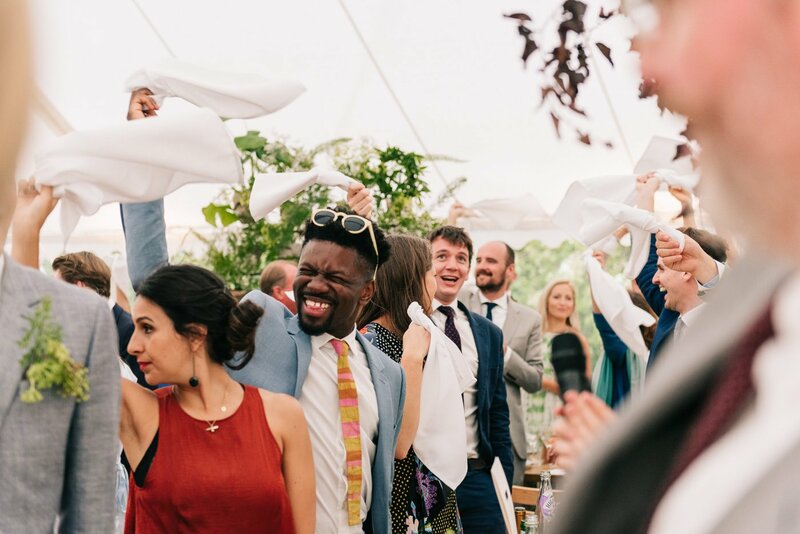 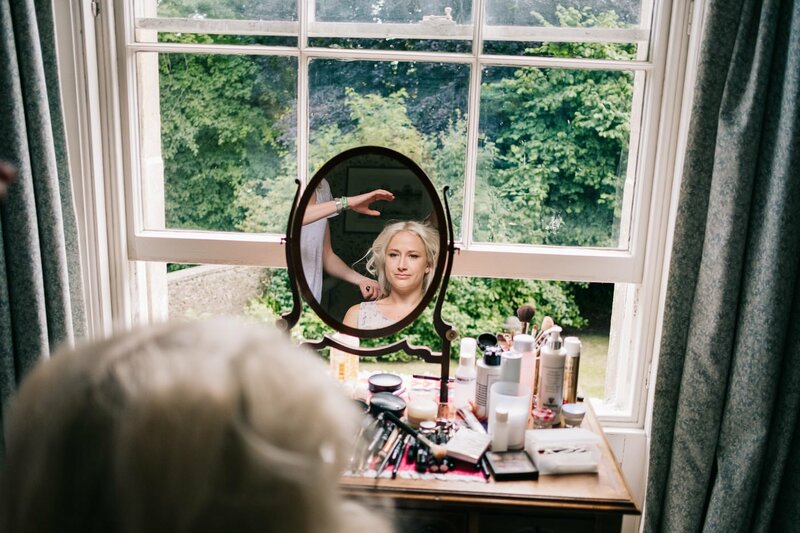 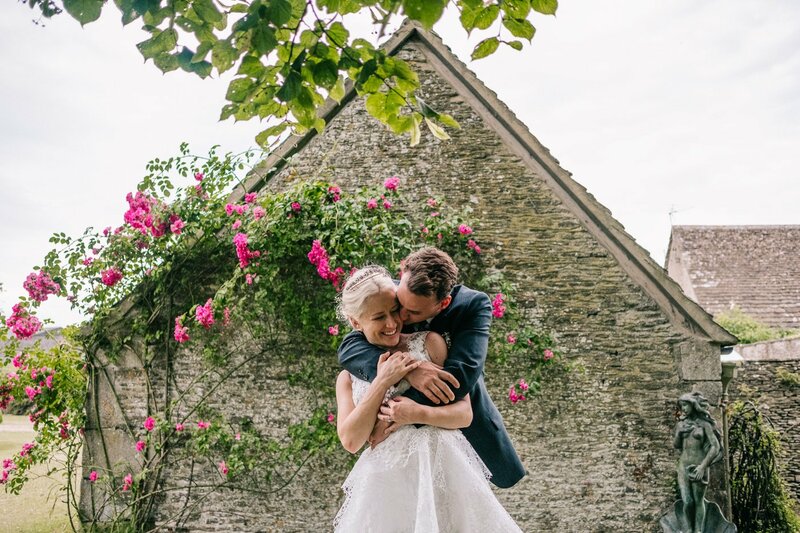 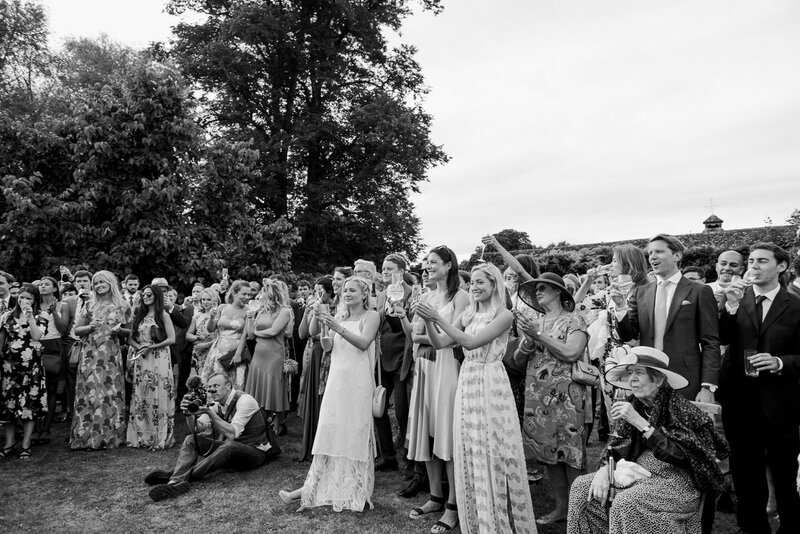 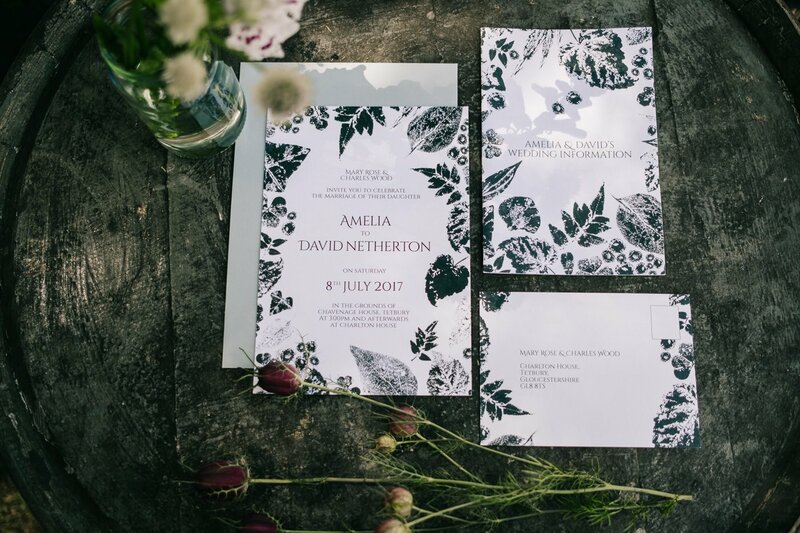 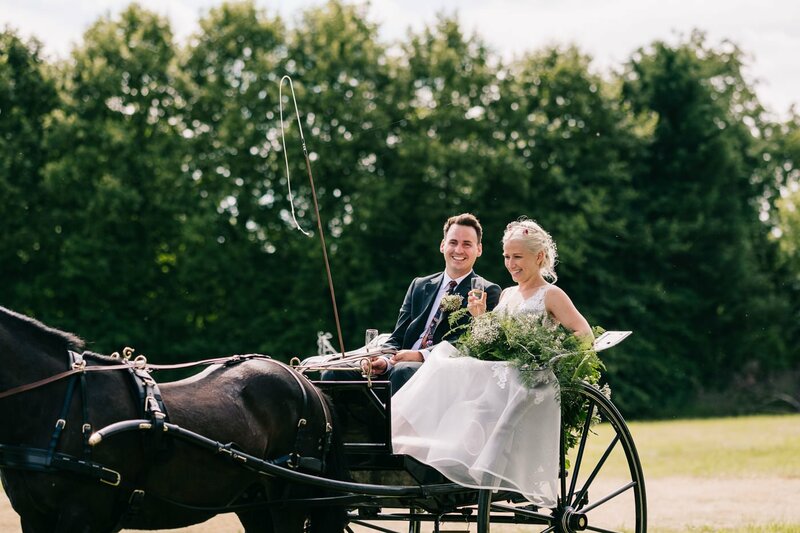 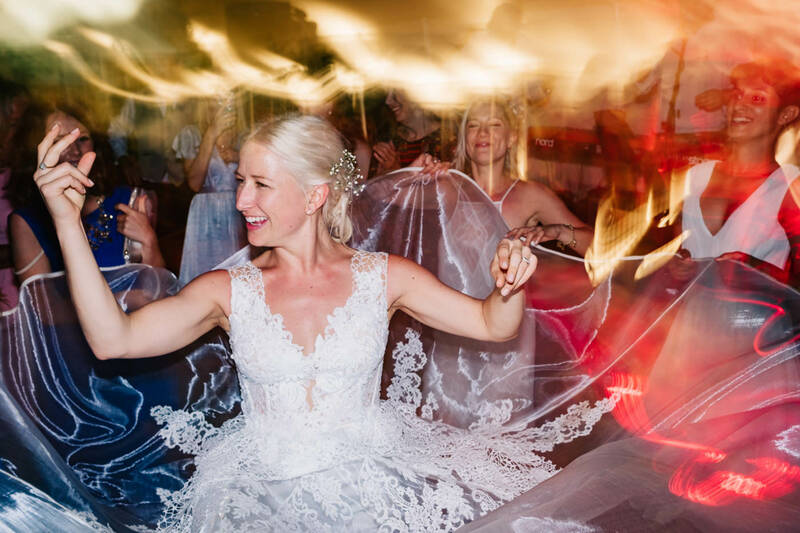 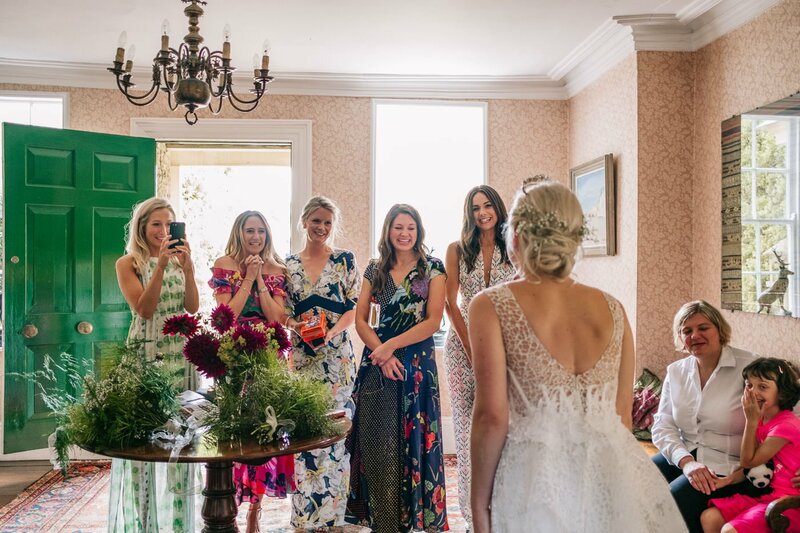 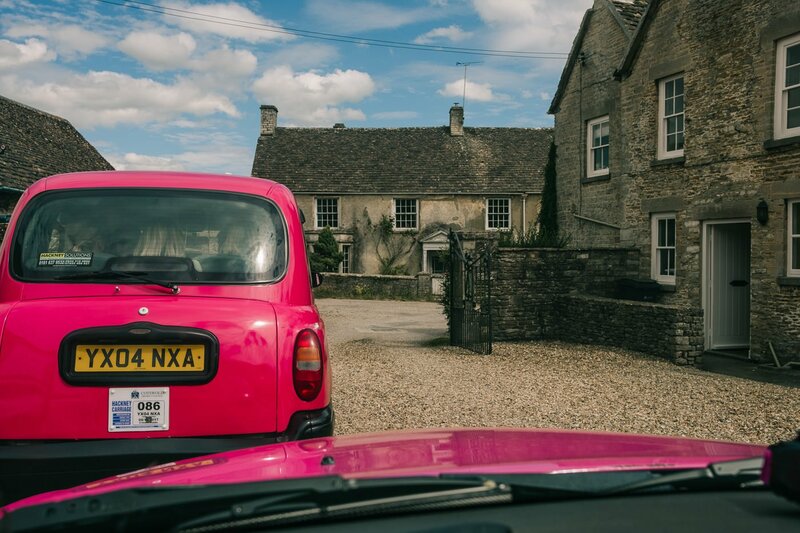 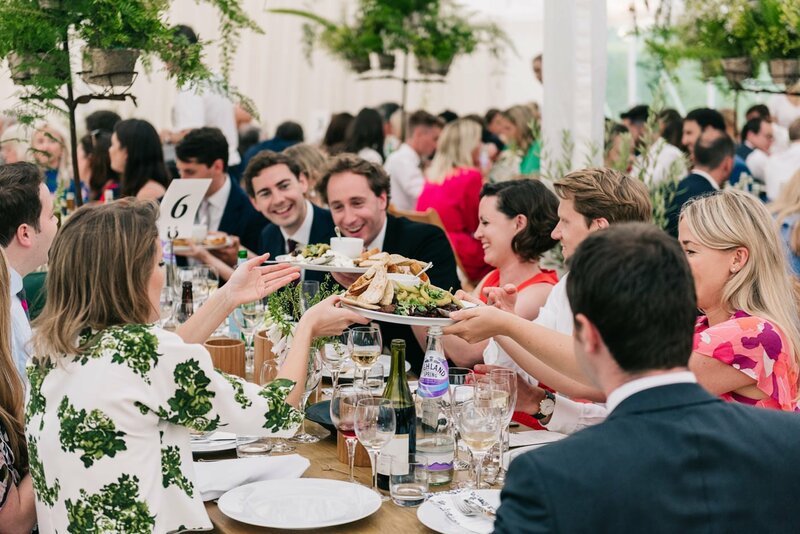 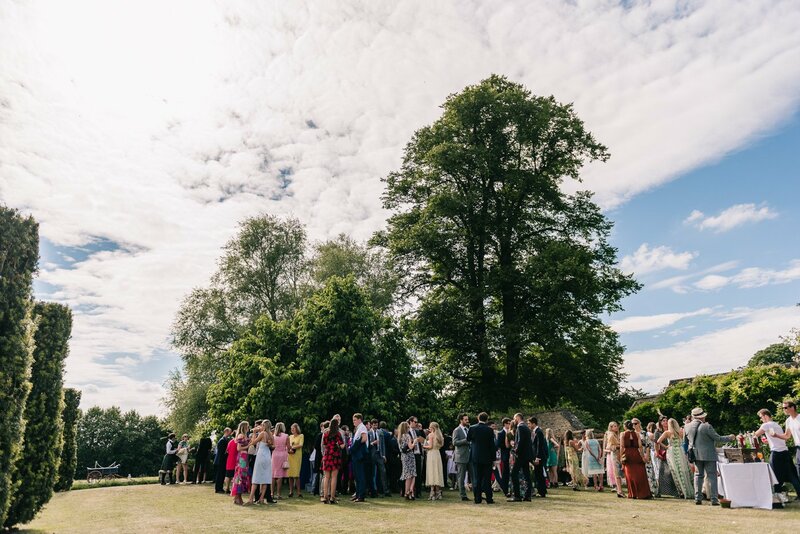 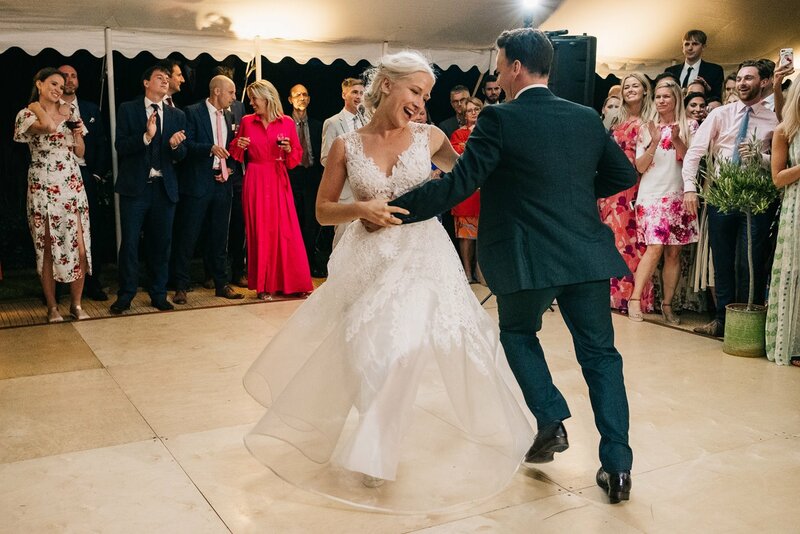 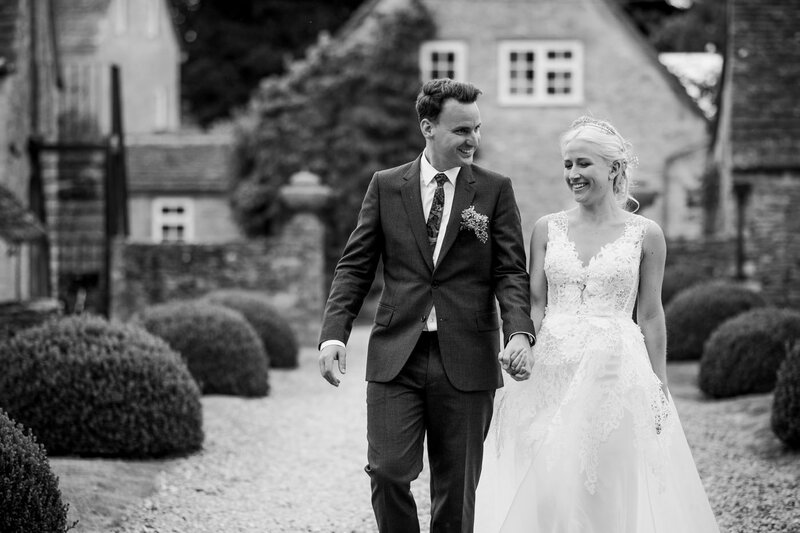 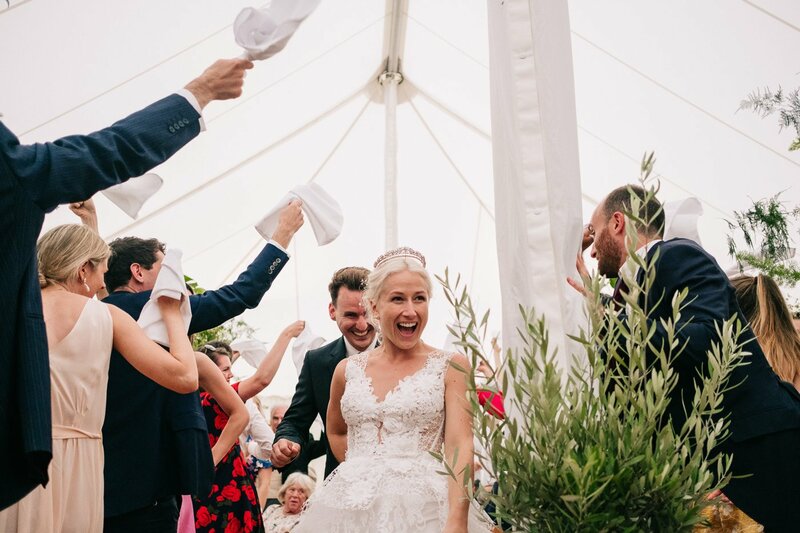 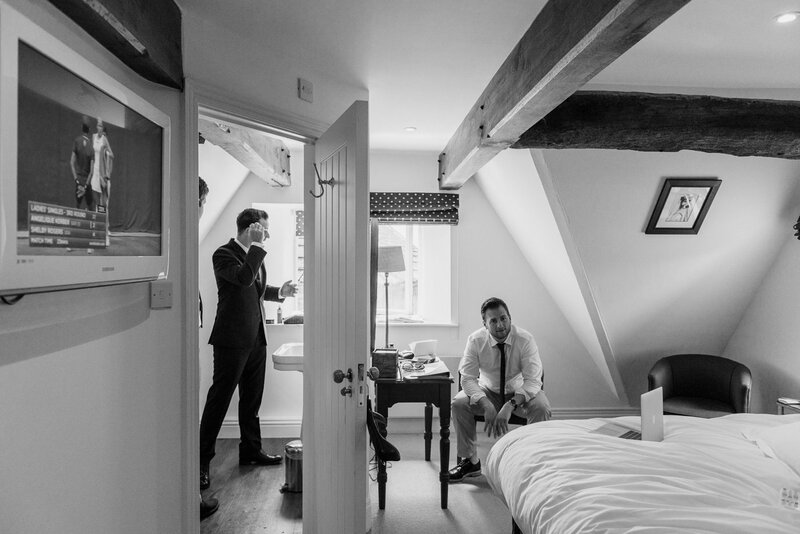 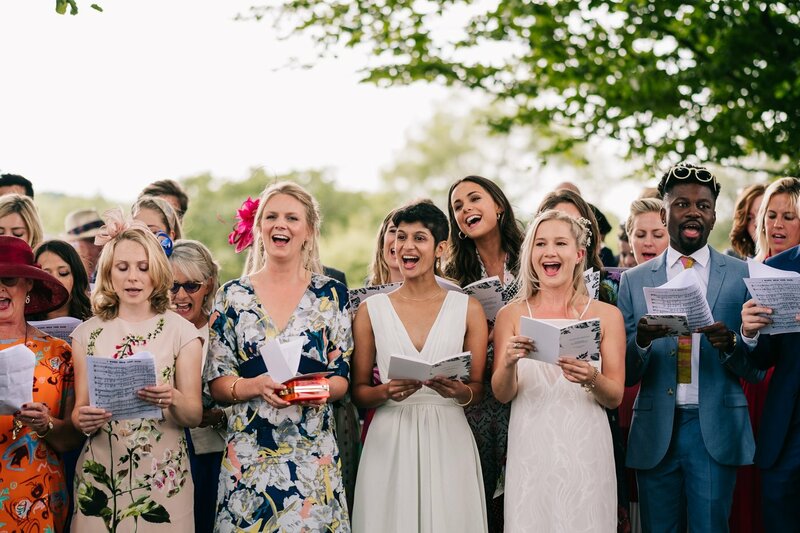 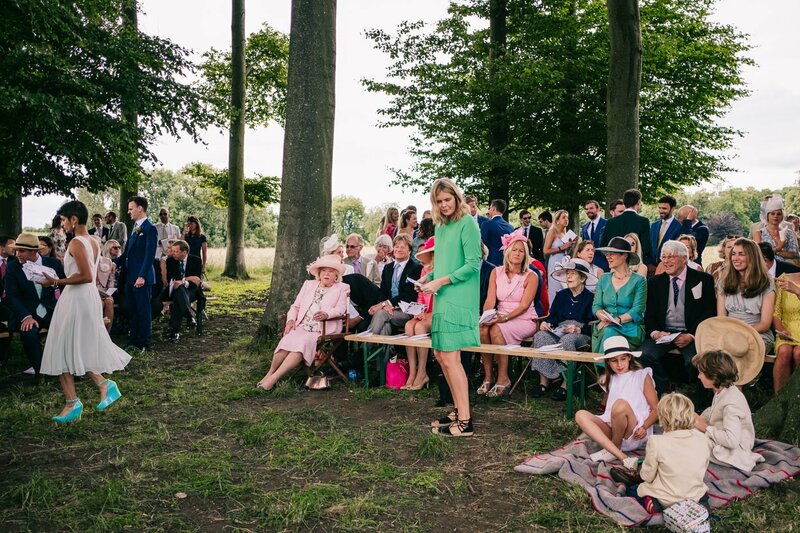 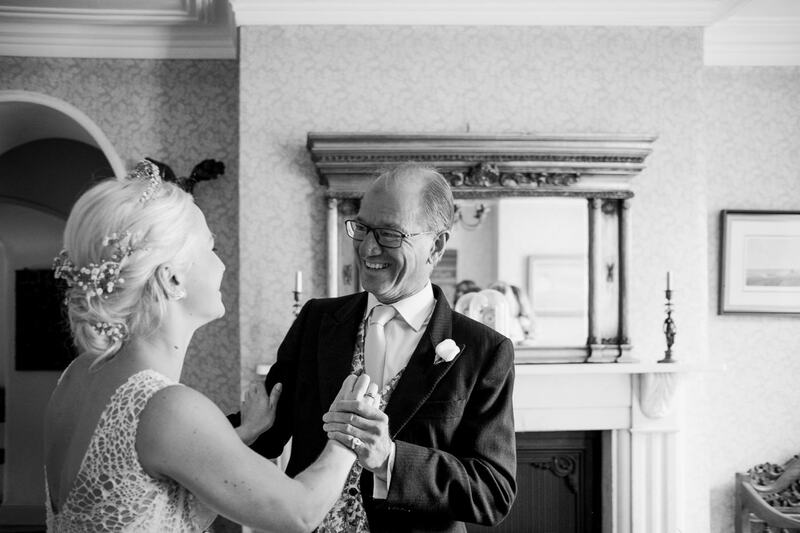 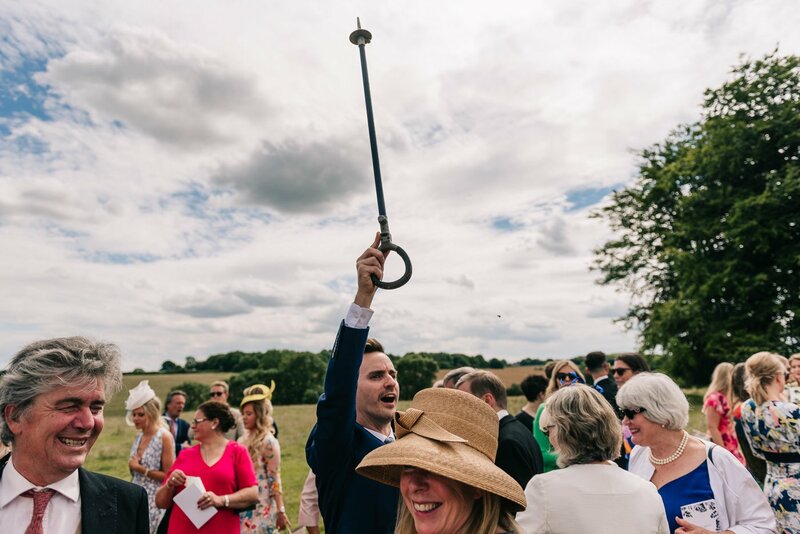 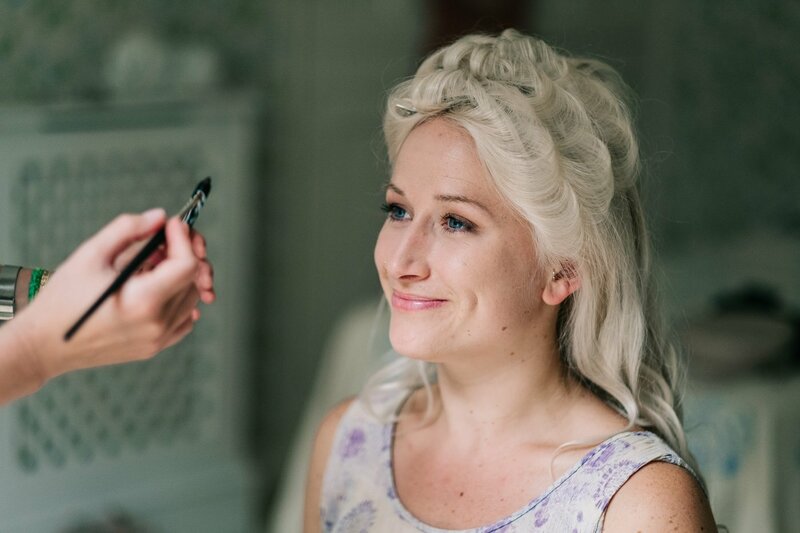 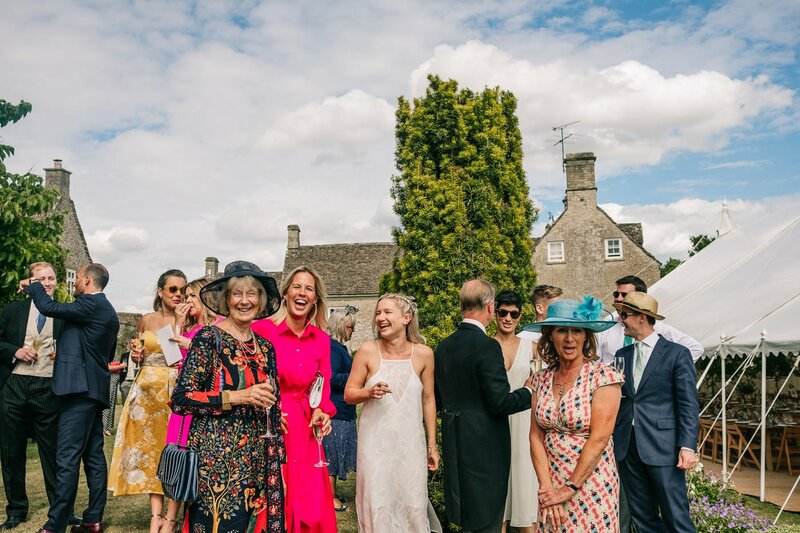 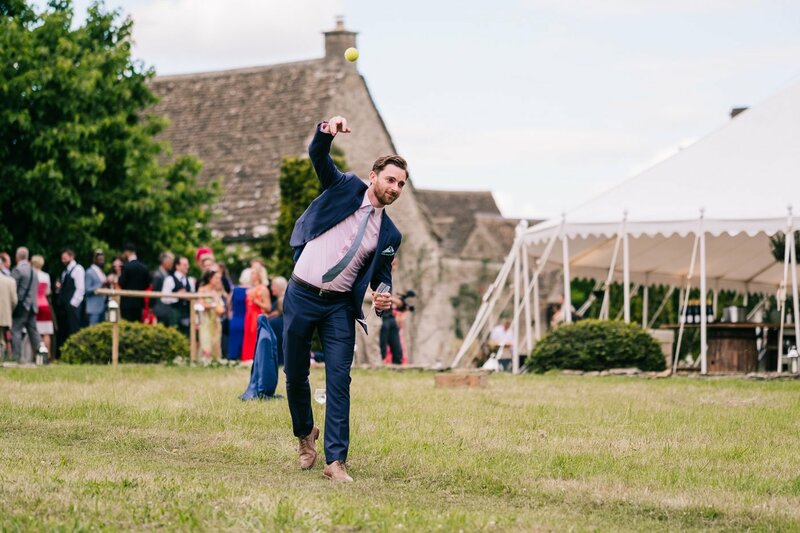 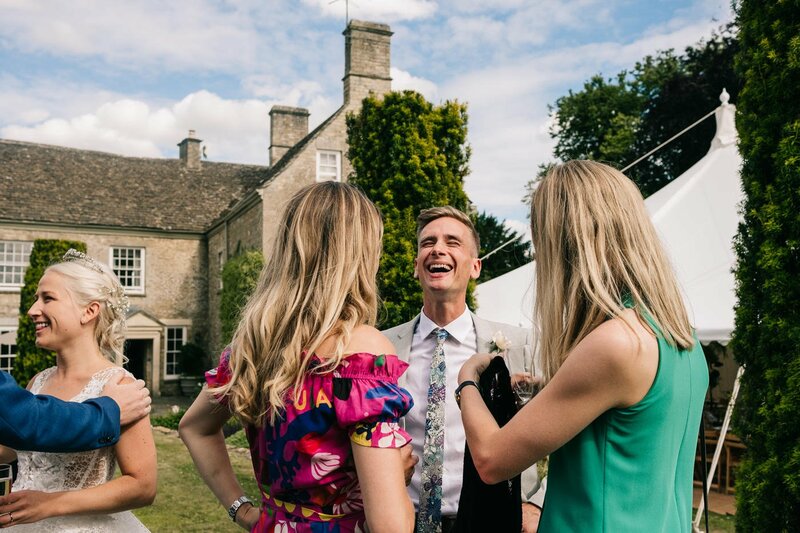 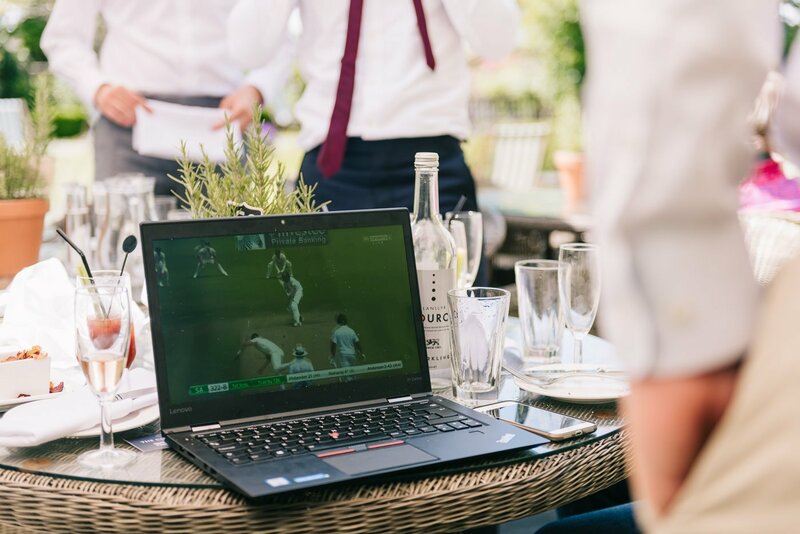 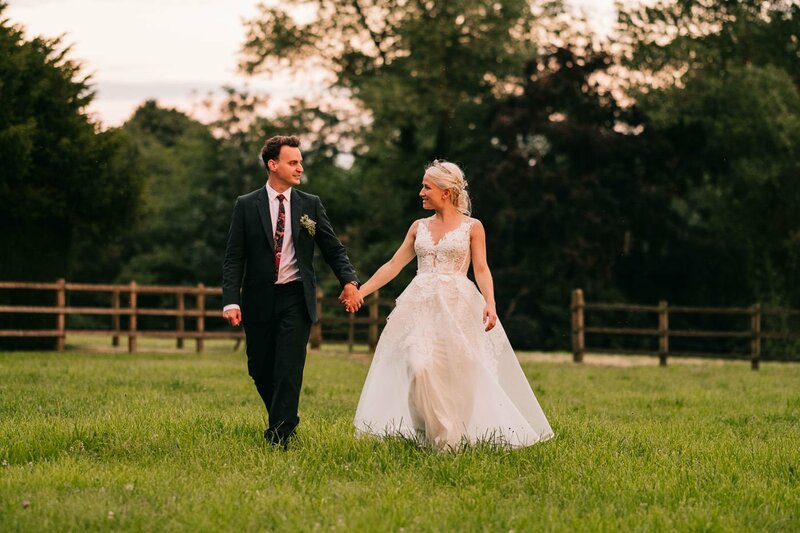 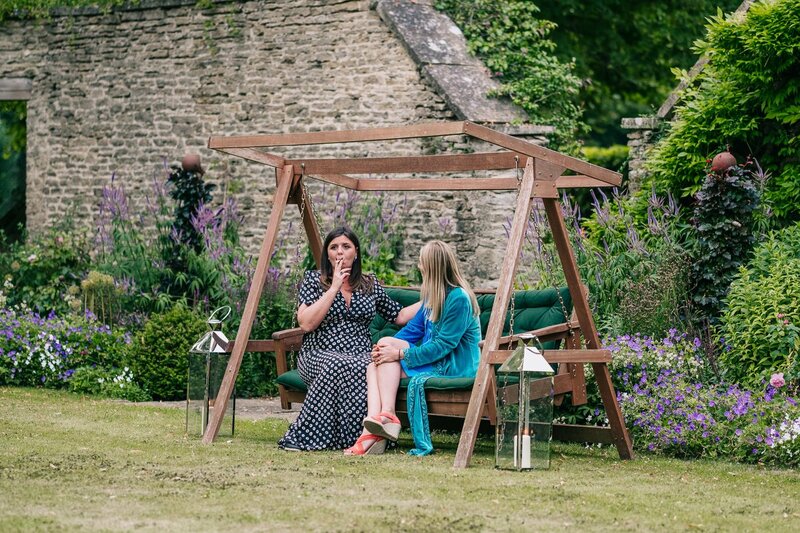 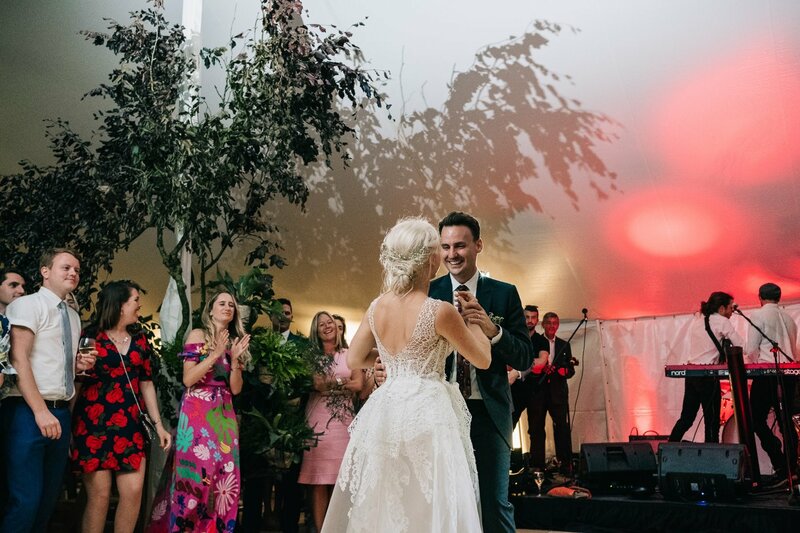 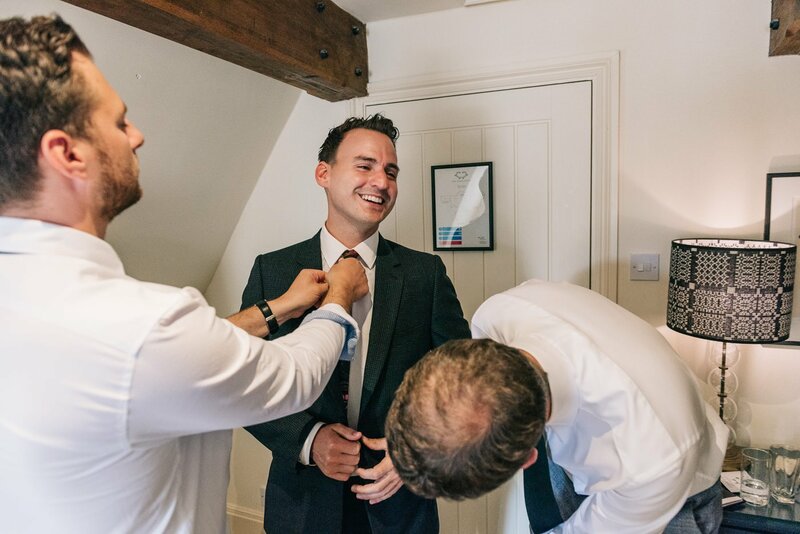 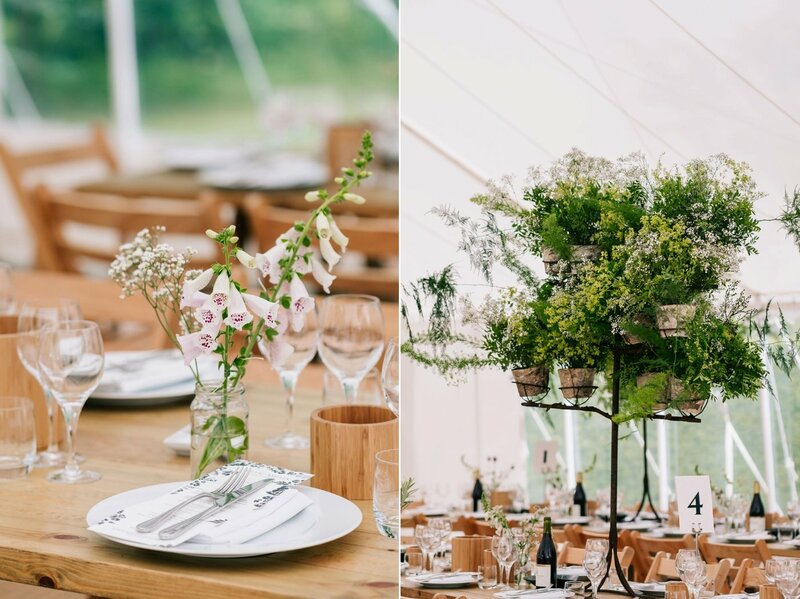 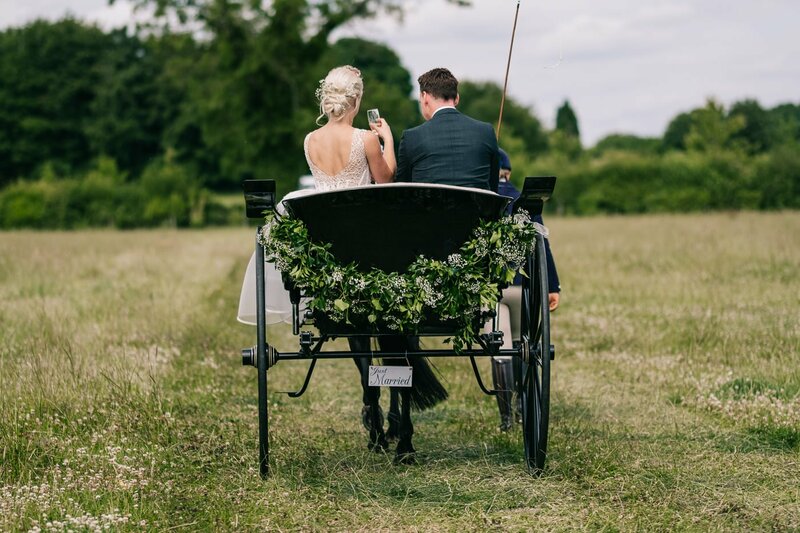 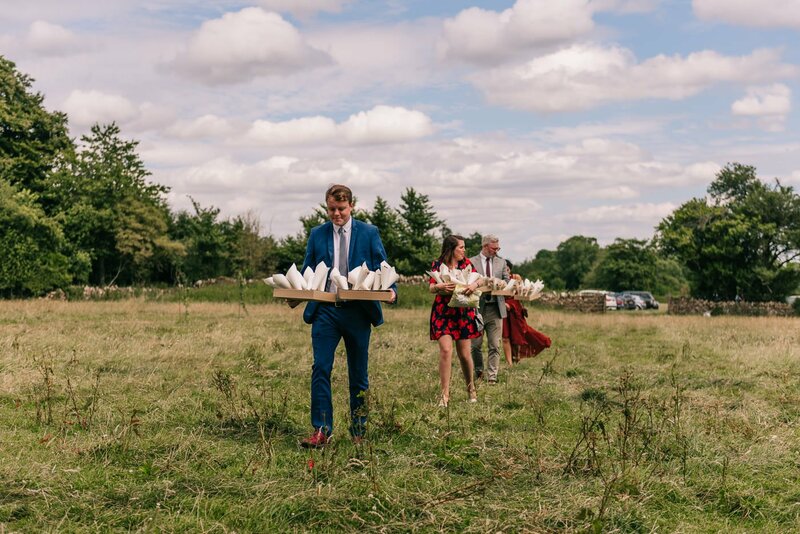 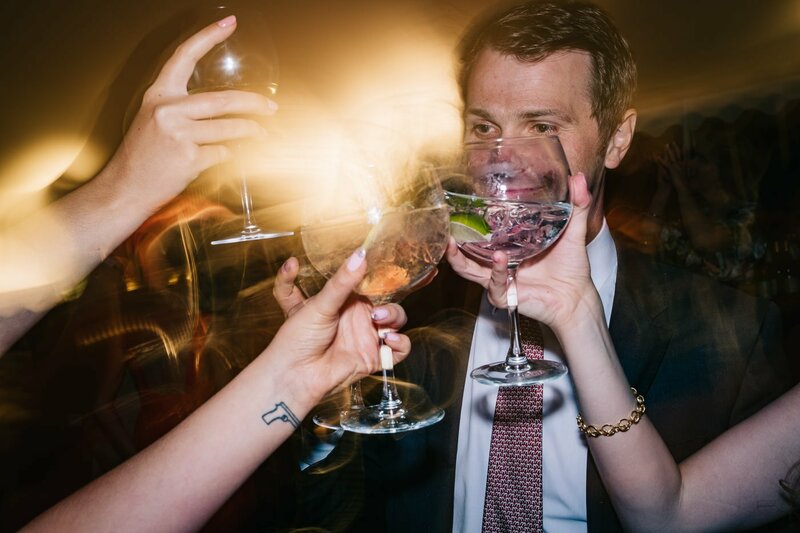 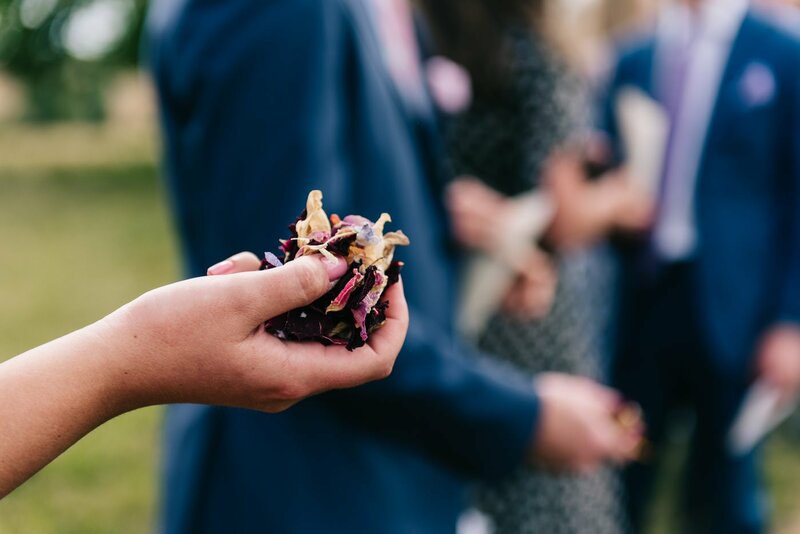 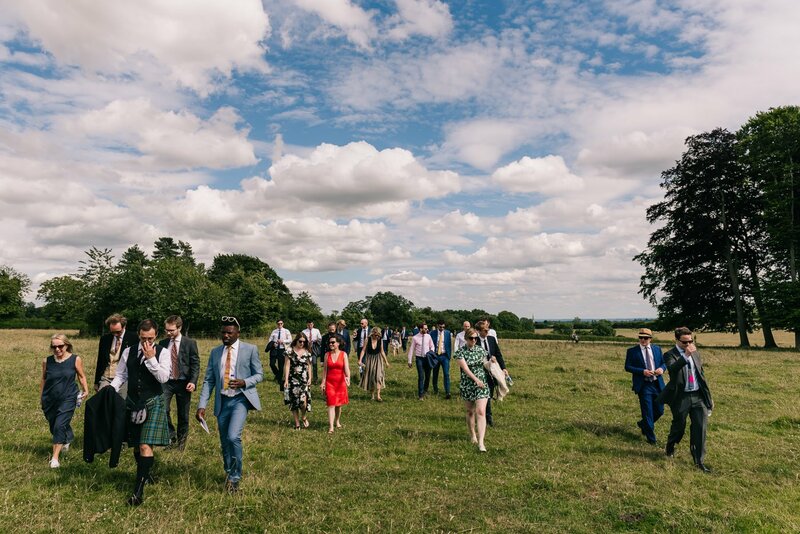 There was a choir made up of Amelia and David’s friends and family, a heartfelt celebrant led ceremony in a copse of trees in the Tetbury countryside, a cross country walk, a reception at Amelia’s family home, an oyster bar and an amazing outdoor kitchen. 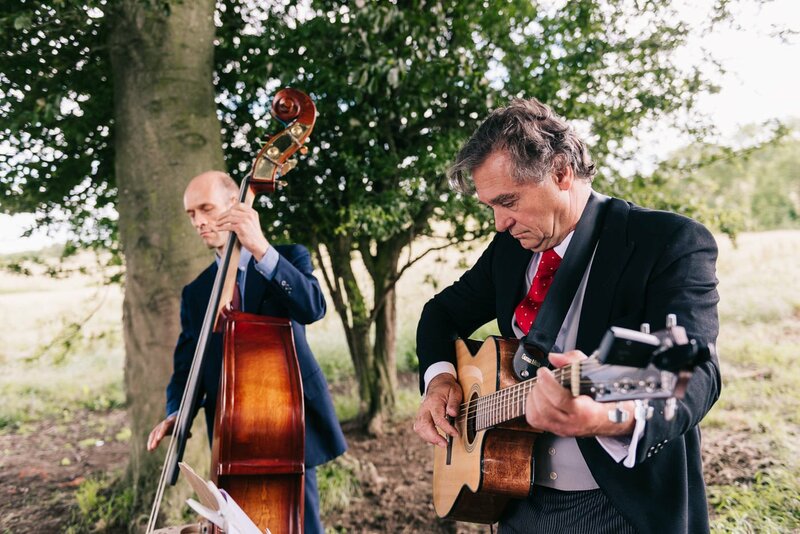 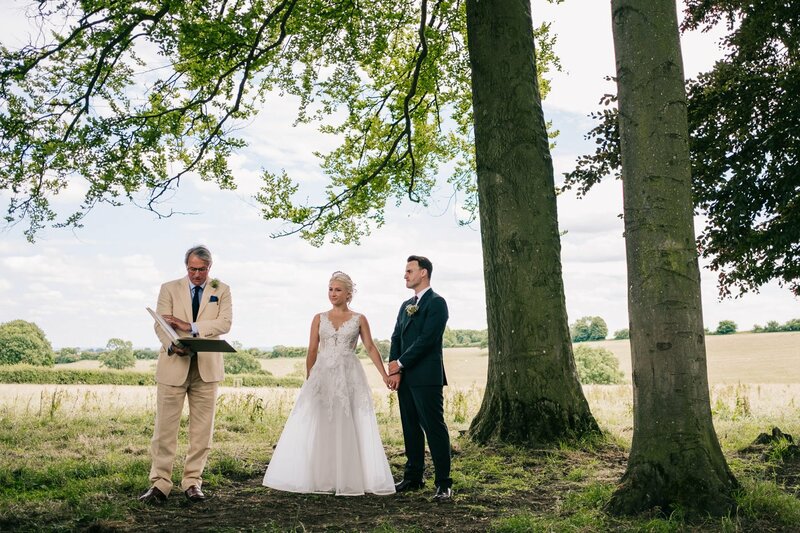 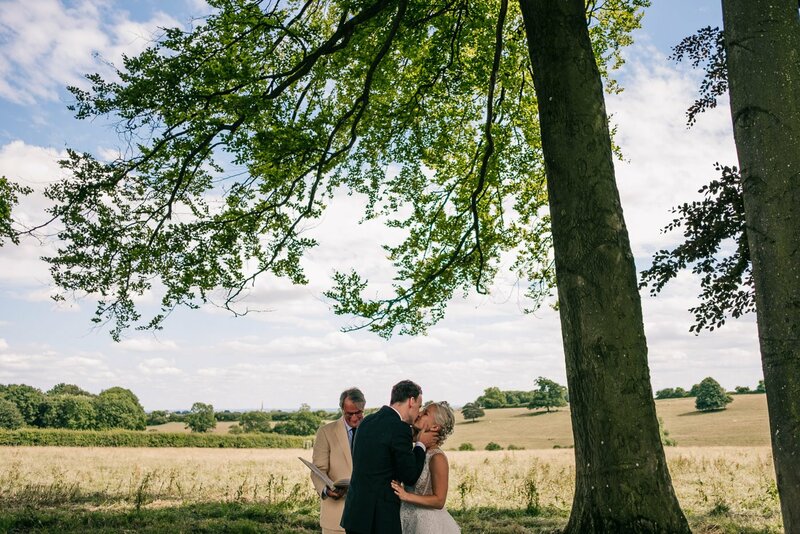 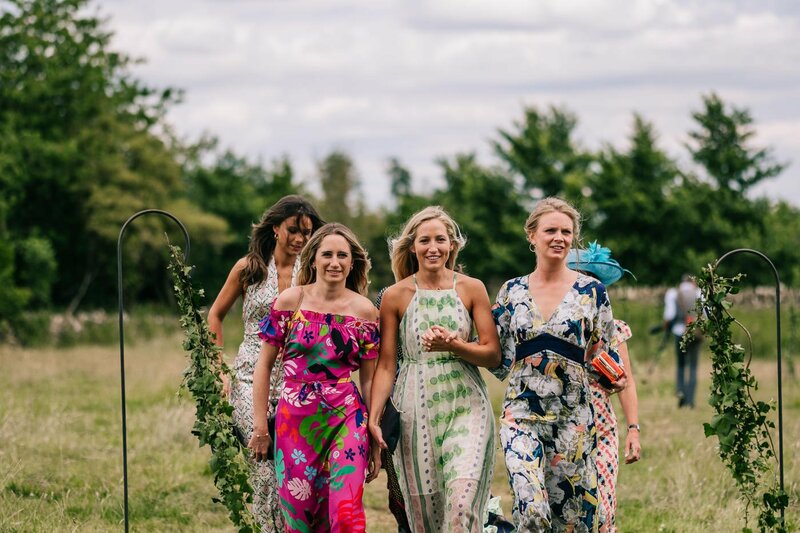 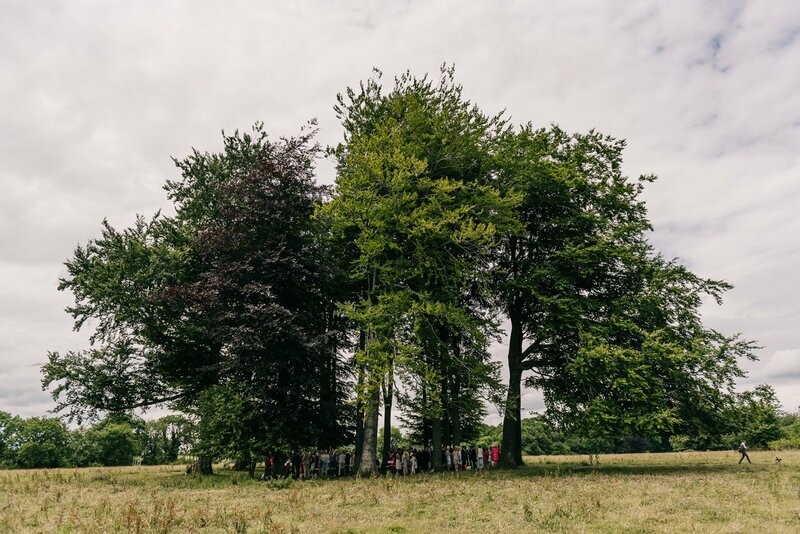 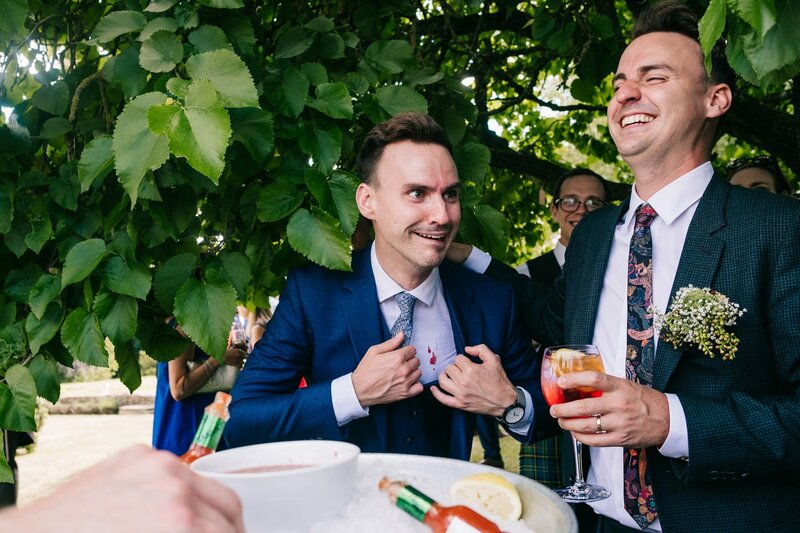 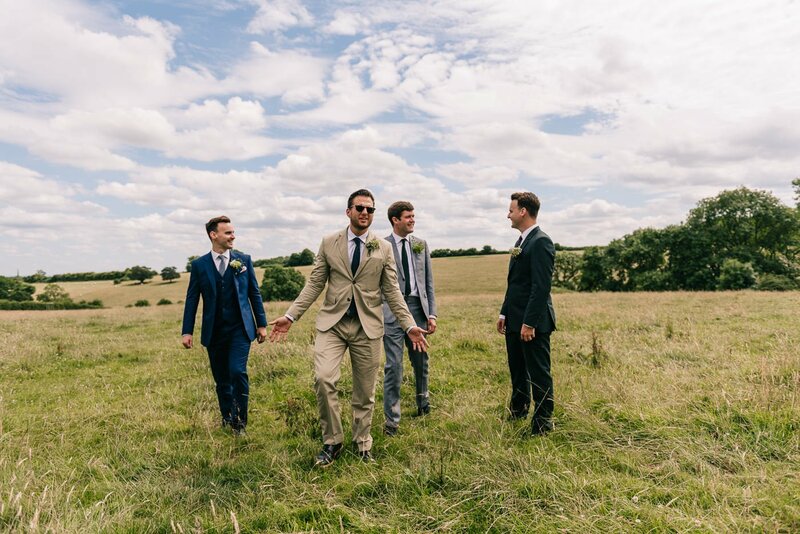 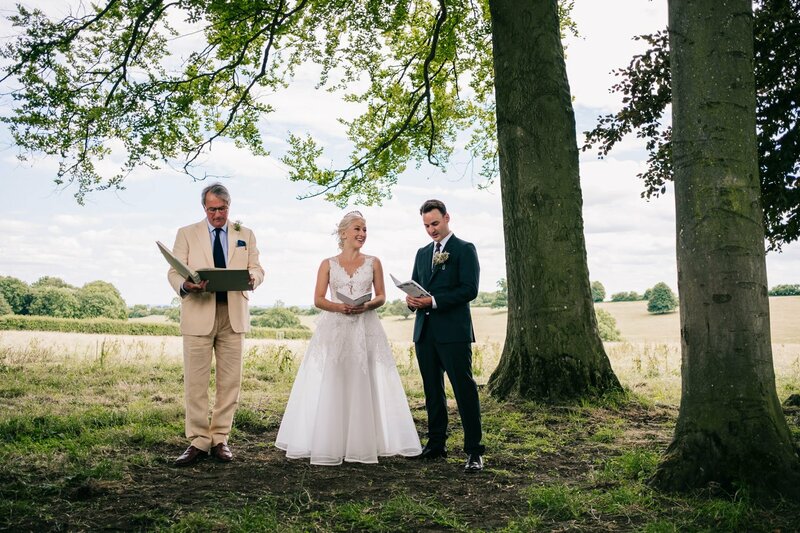 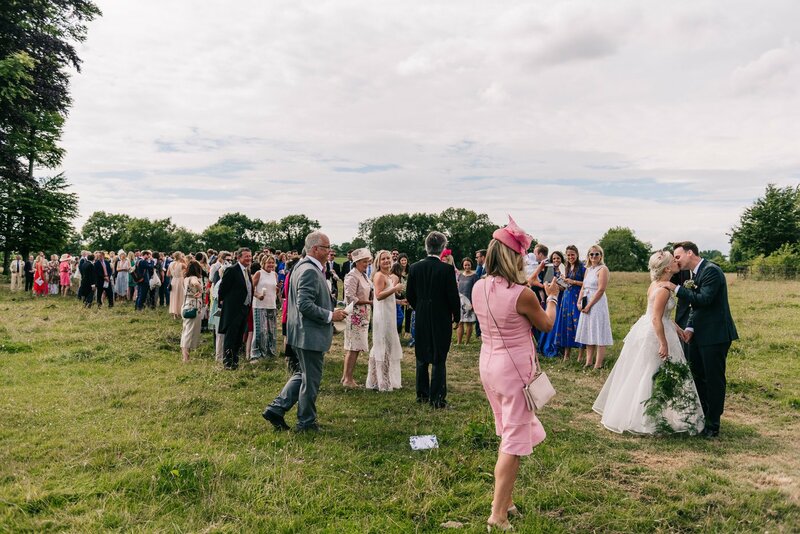 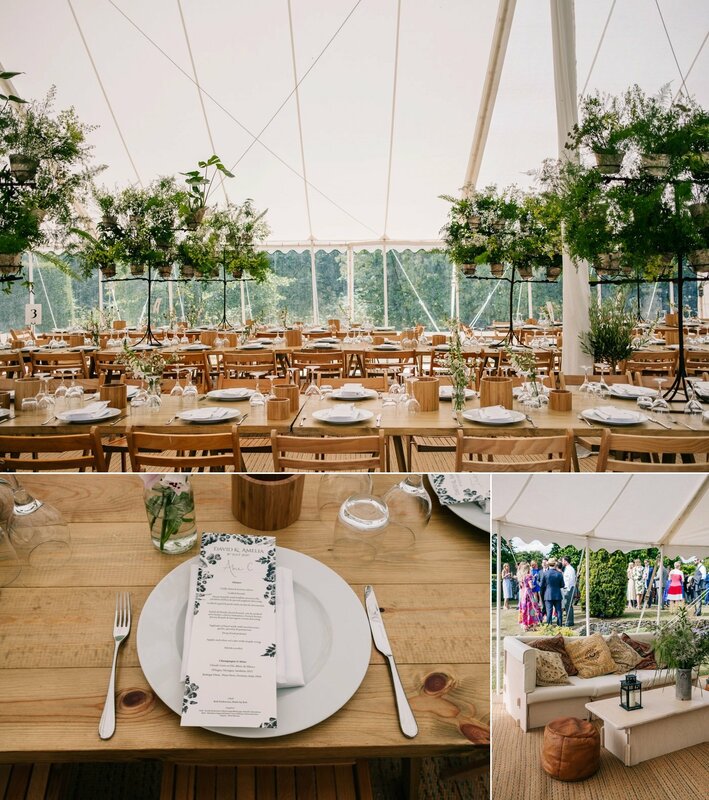 I love a Humanist outdoor wedding and while this wasn’t strictly speaking a humanist ceremony, as it was conducted by one of David and Amelia’s friends, it was beautifully personal and in the most wonderful of settings – a copse of trees on neighbouring land. 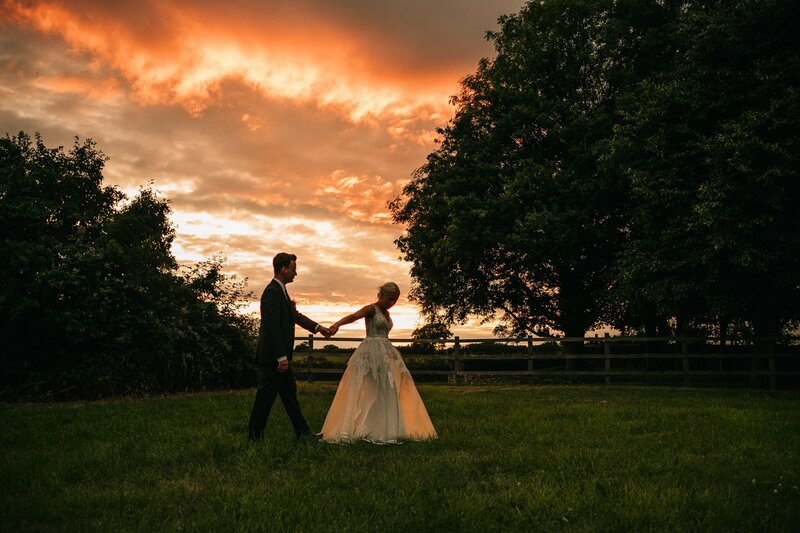 After the ceremony David and Amelia made their way back to Amelia’s family home for a back garden reception. 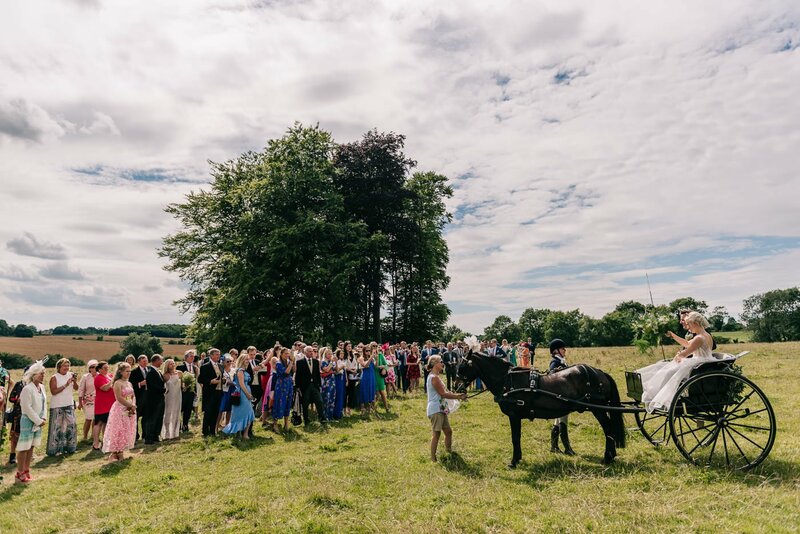 They travelled by horse and cart, which was pretty awesome, and their friends made their way across the countryside by foot. 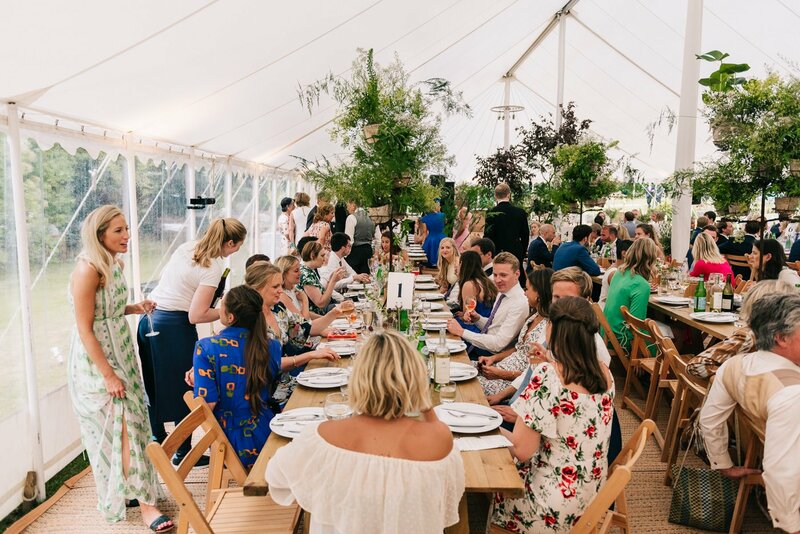 On arrival there was champagne and lawn games followed by dinner in a beautiful traditional pole marquee. 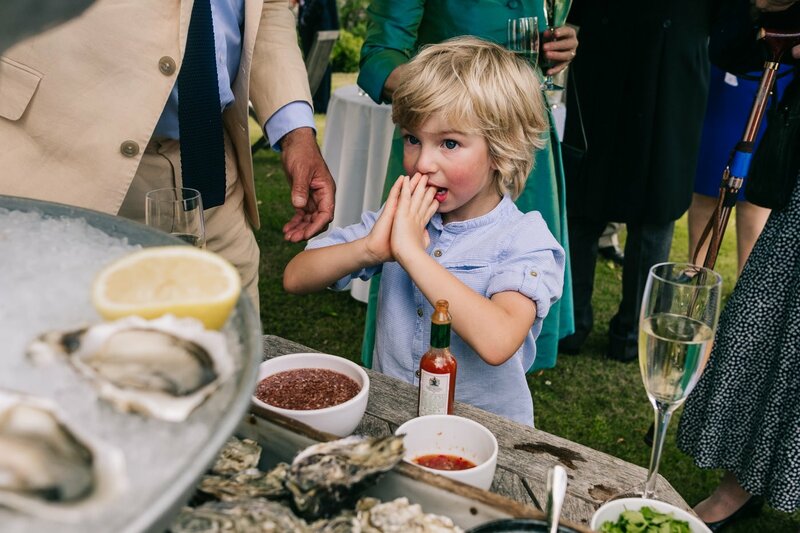 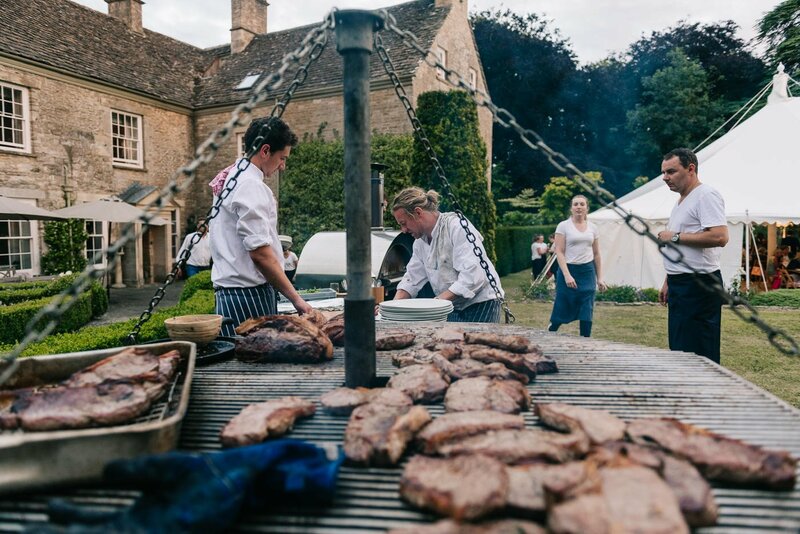 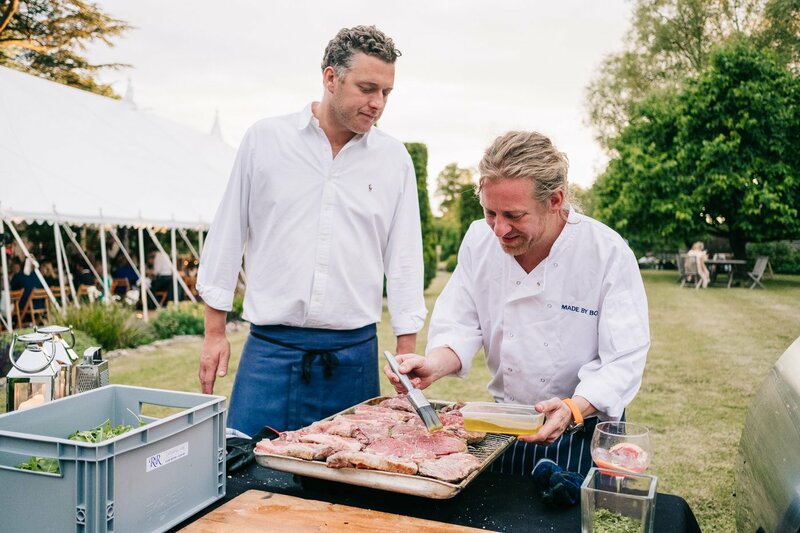 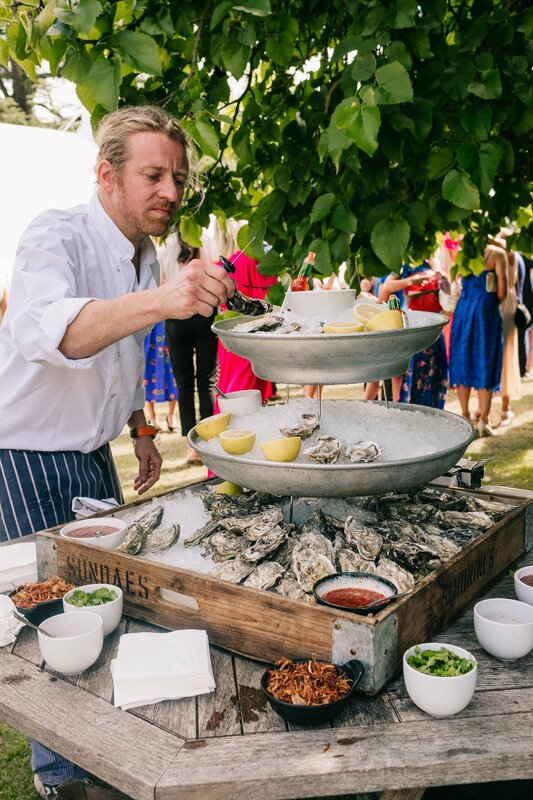 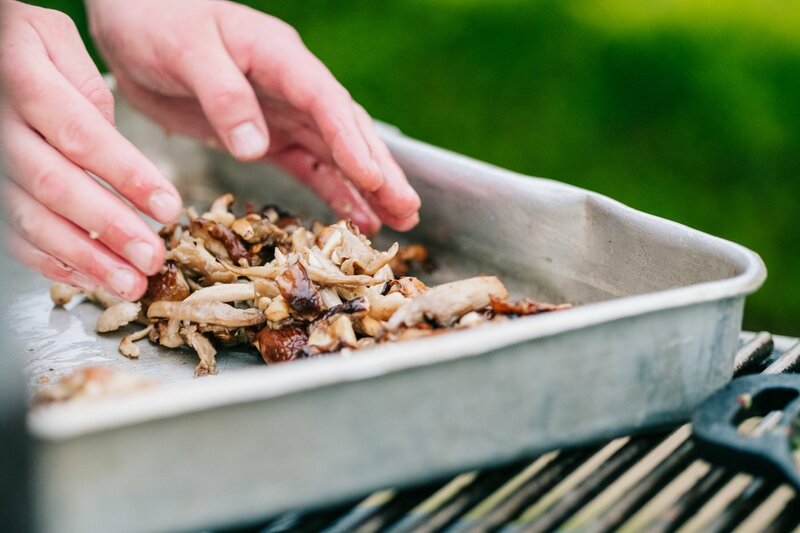 All of the catering was provided by Food Made by Bob and it was a spectacle in its own right, with an oyster bar under a tree and an amazing outdoor kitchen, where guests could watch their food being prepared and cooked in front of them. 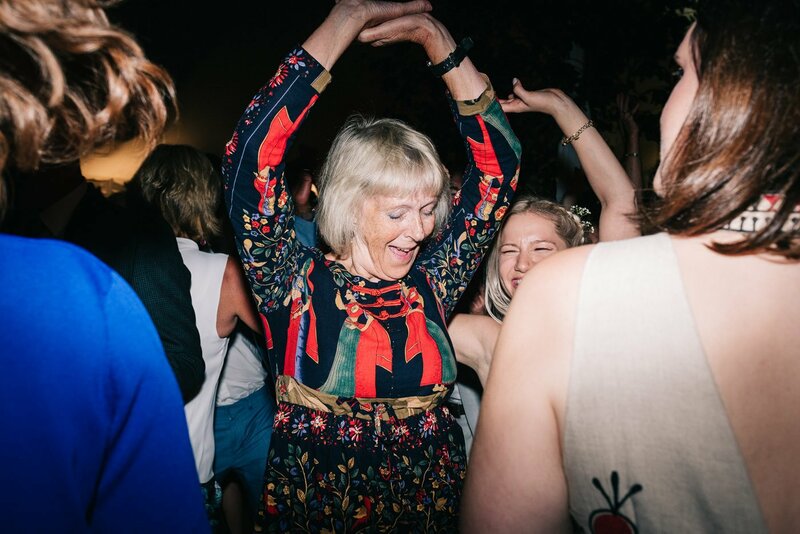 After the feast the Wedding Smashers started the party and the dance floor was packed from the minute the first song played. 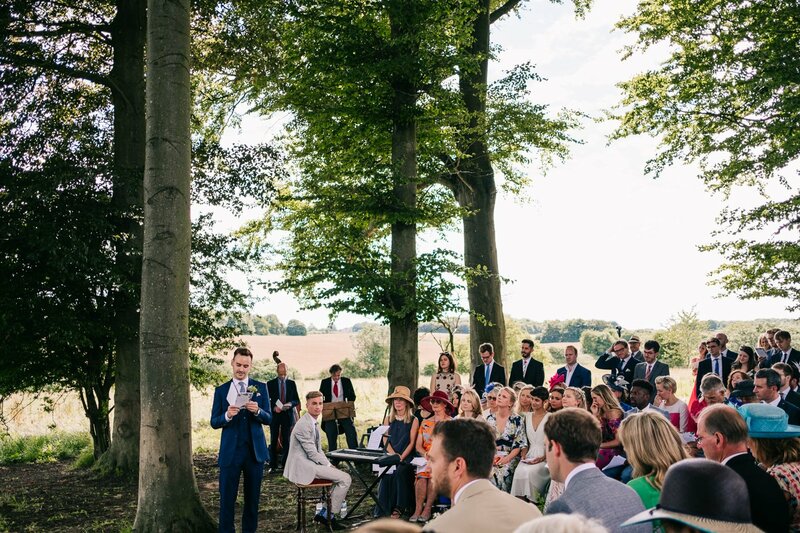 I always love it when a couple are able to make their day so personal and a humanist outdoor wedding is a beautiful way to have a wedding ceremony that’s truly reflective of who you are as people and what you mean to each other. 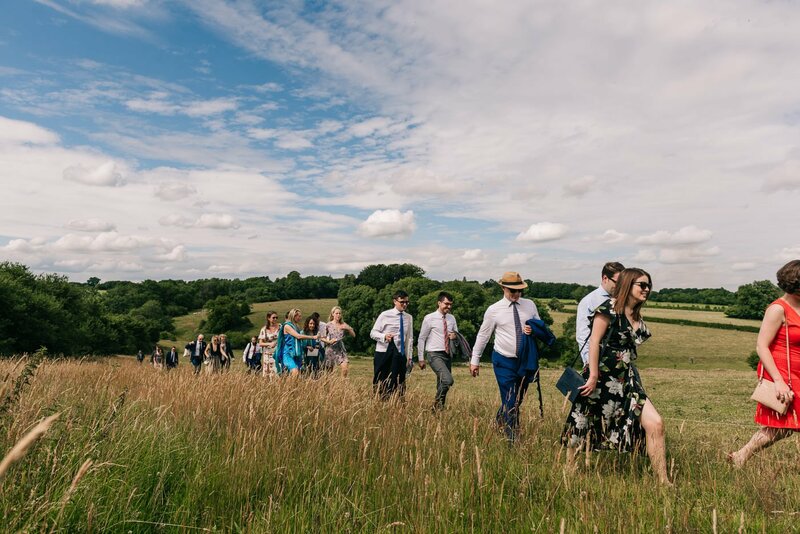 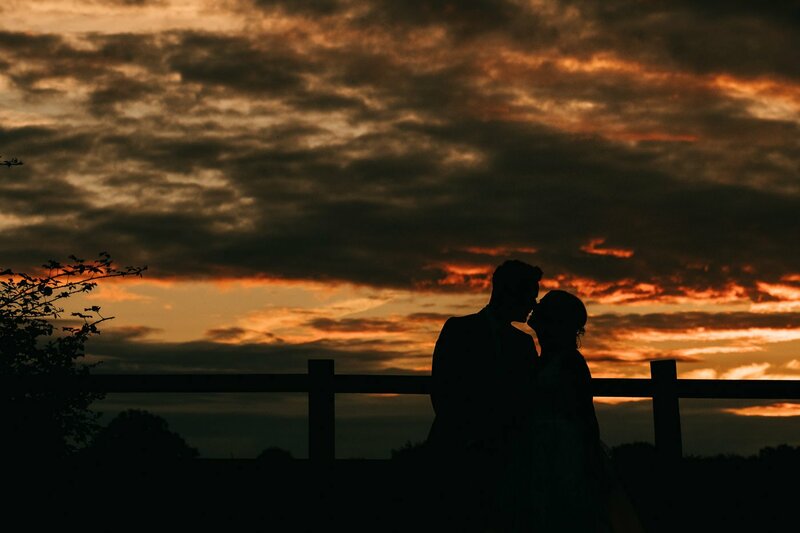 If you’re looking for a wedding photographer to capture your back garden wedding or outdoor humanist wedding celebrations I’d love to hear from you. 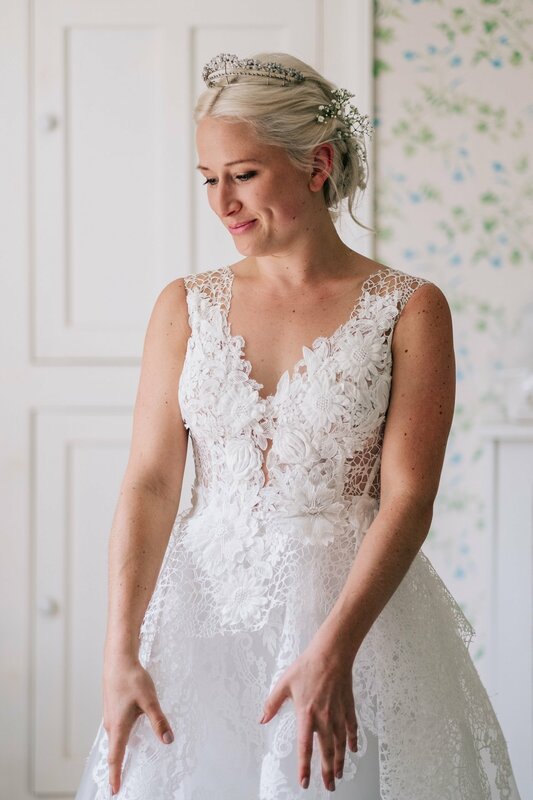 Scroll down to the bottom for the credits! 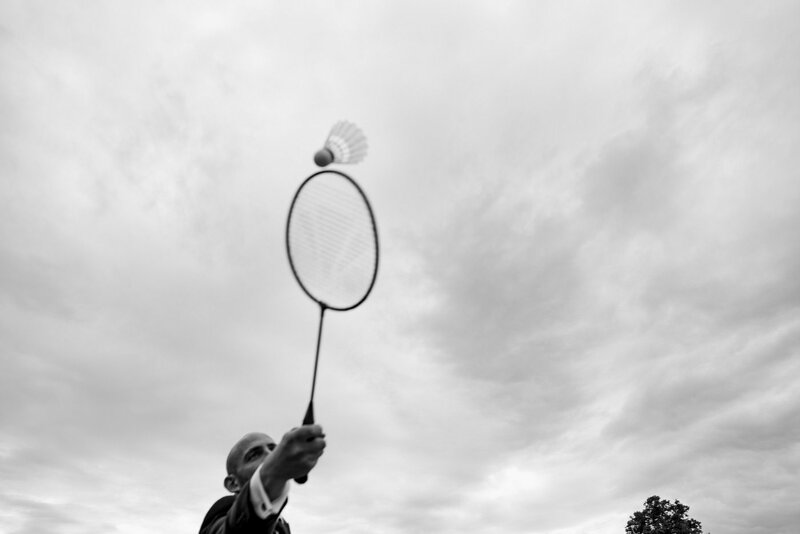 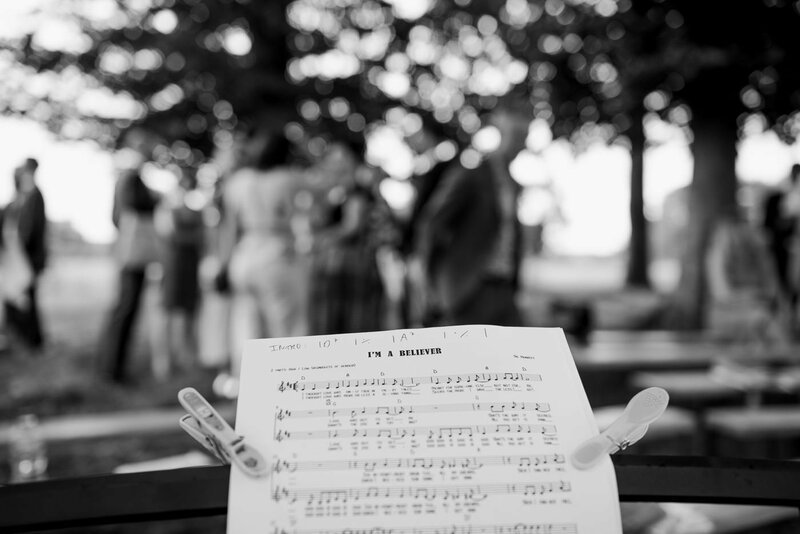 Humanist outdoor wedding photography: Babb Photo – swing by my blog to see more of my work!